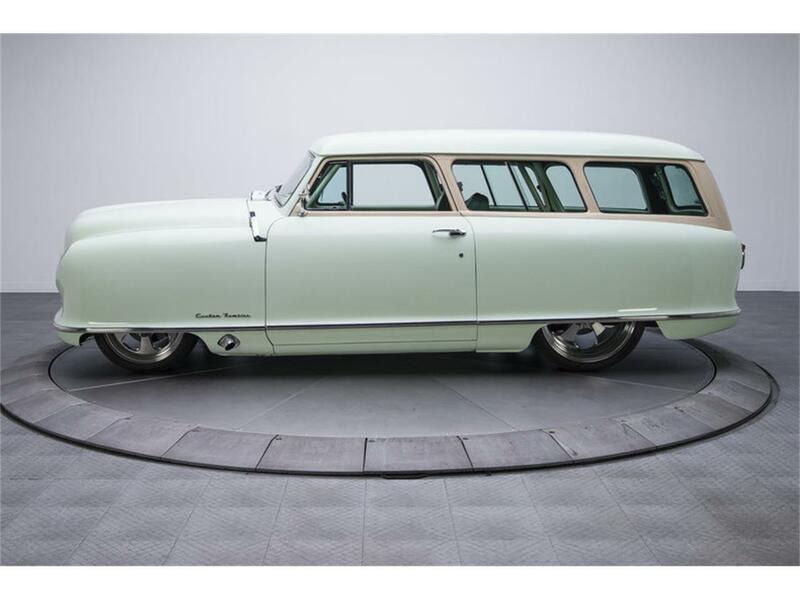 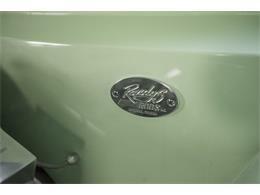 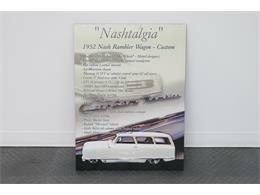 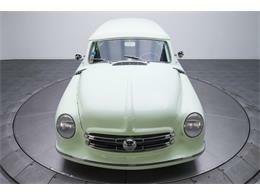 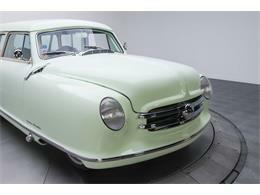 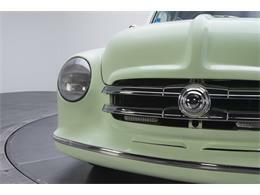 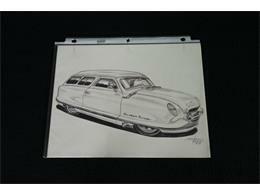 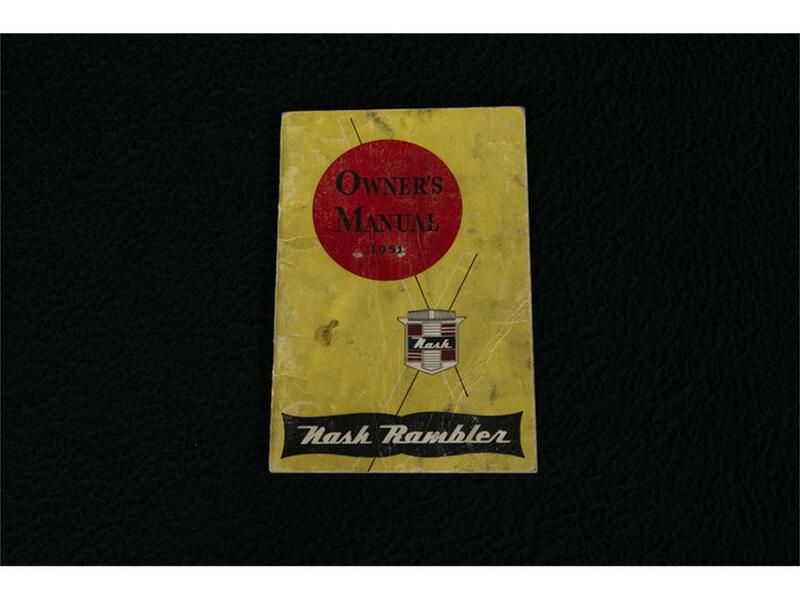 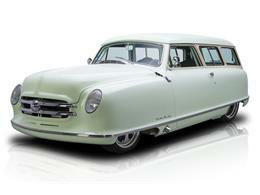 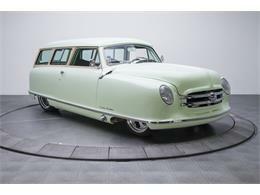 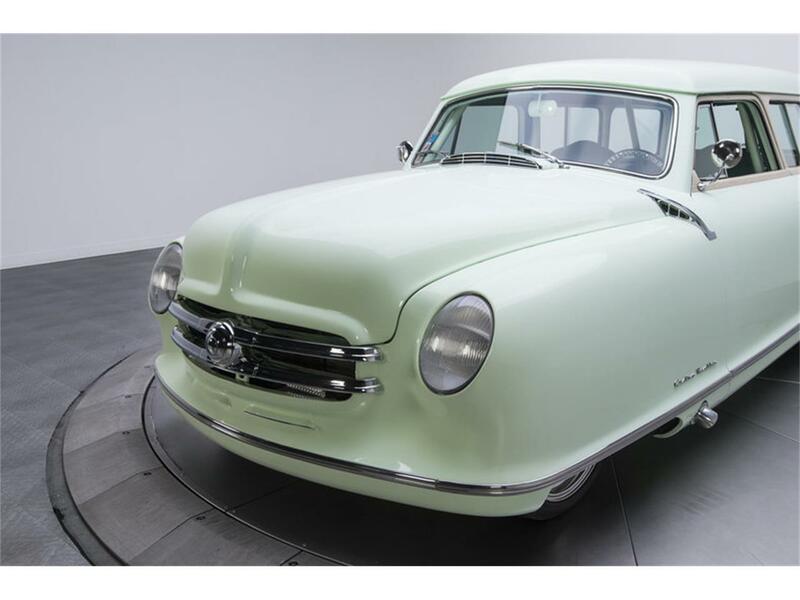 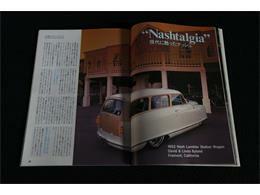 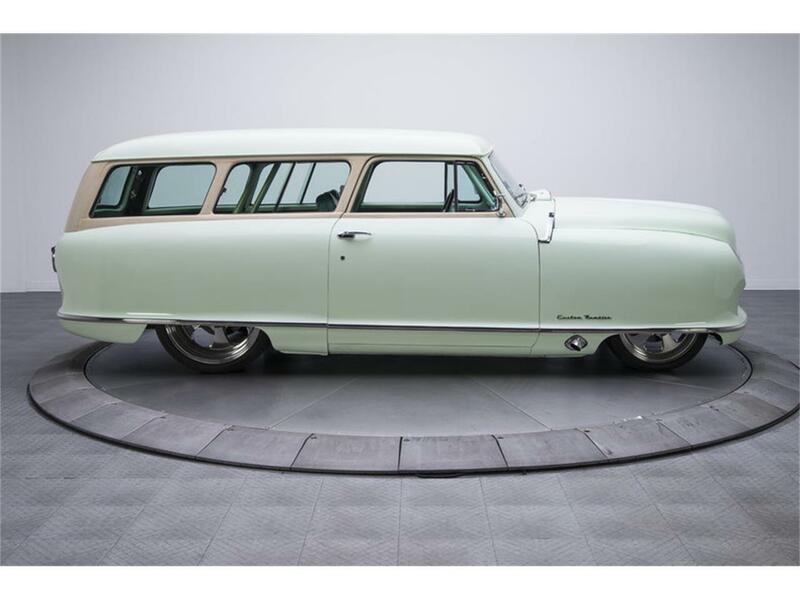 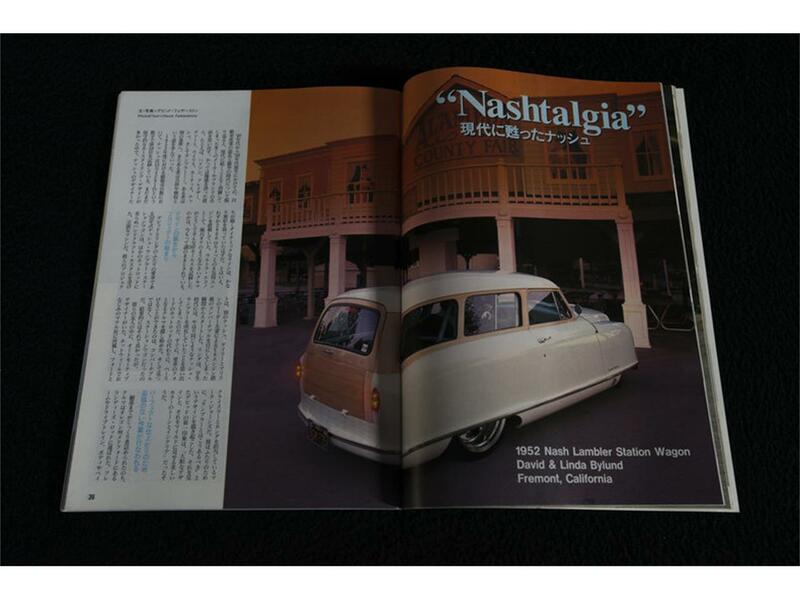 So you've undoubtedly checked out the photos of this incredible Nash Rambler. 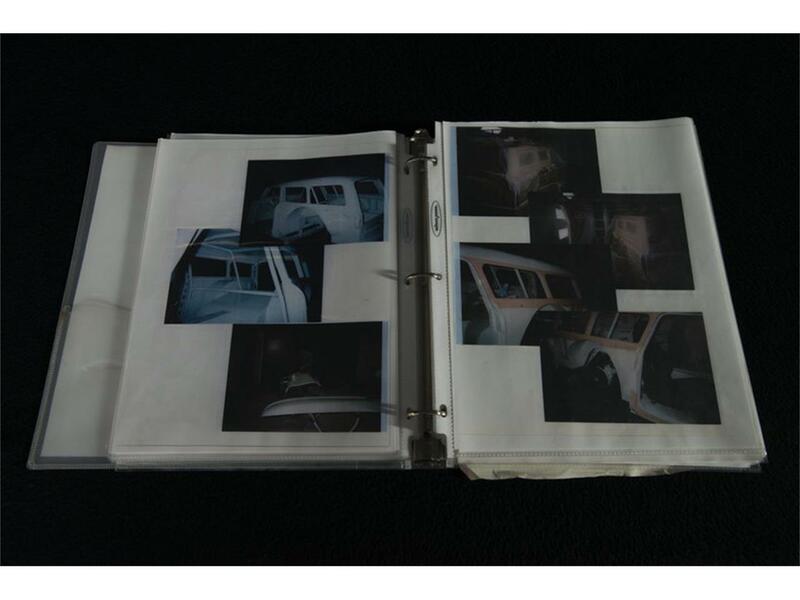 And you've probably formed a few thoughts and opinions. 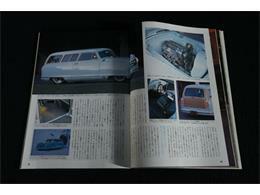 Indeed, the car is a VERY intense custom that was built to turn heads. 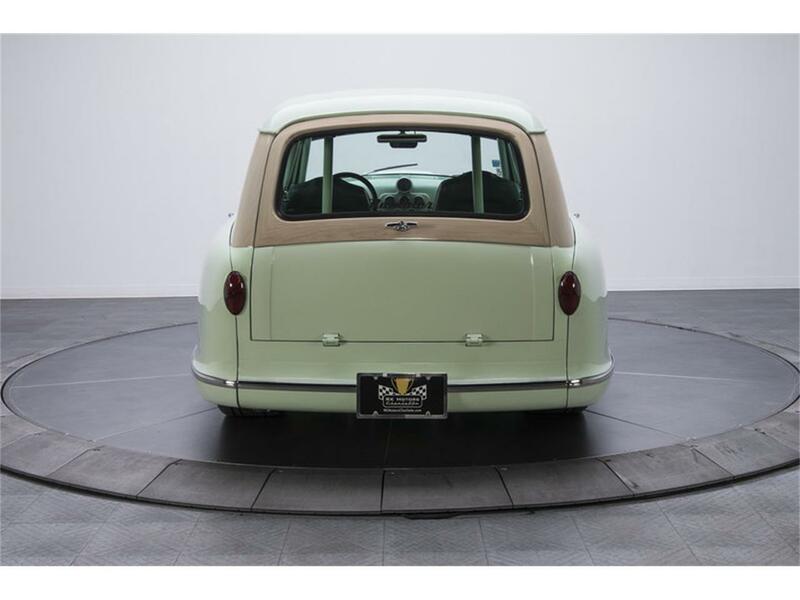 And yes, the car DOES offer one lucky buyer the distinct opportunity to own an exclusive classic that's capable of headlining big shows. 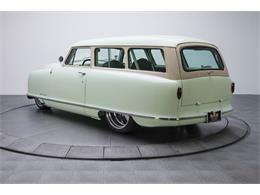 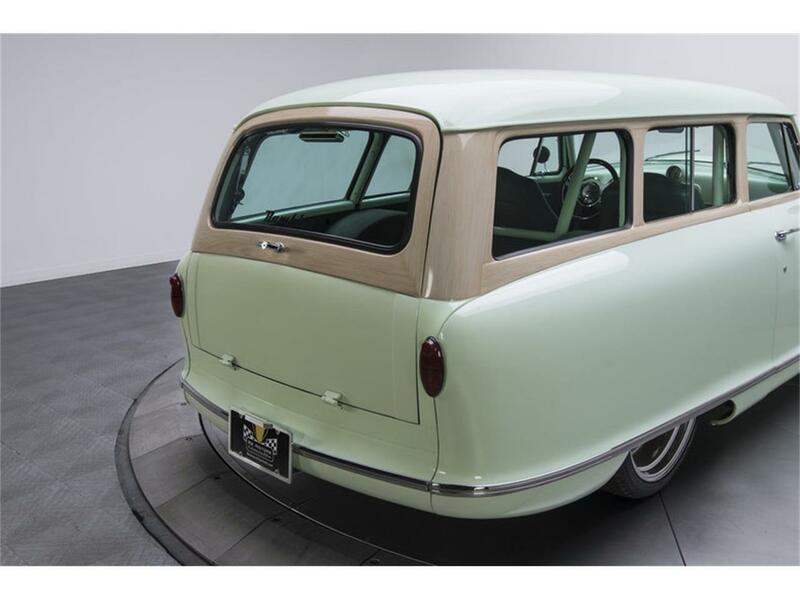 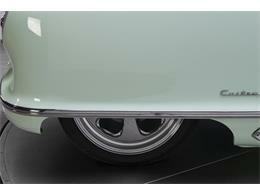 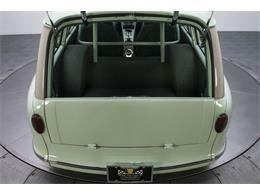 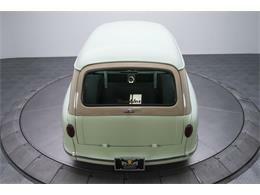 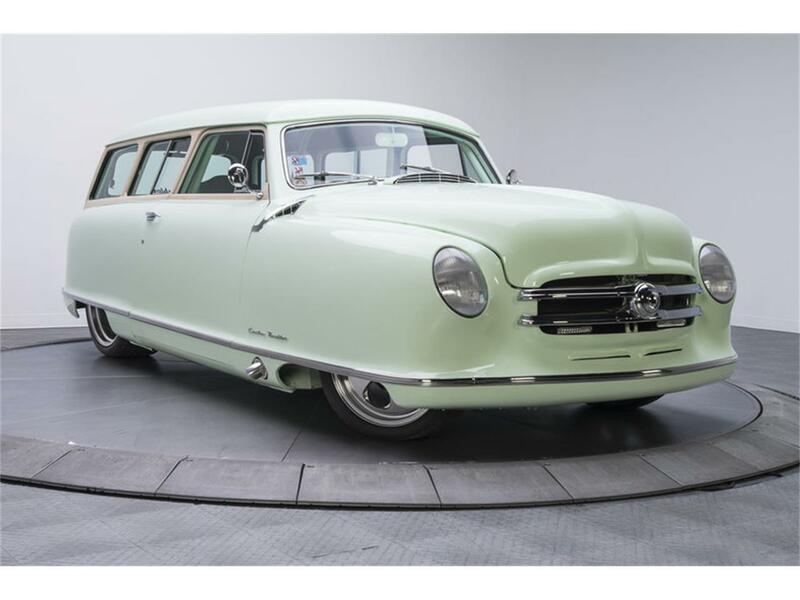 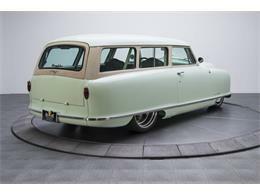 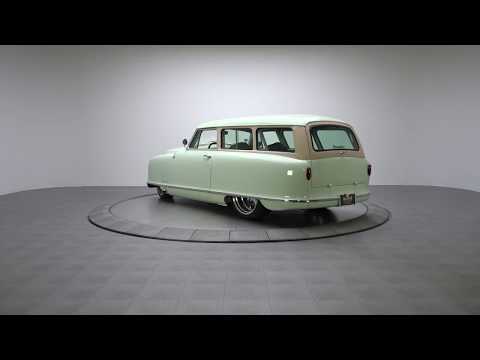 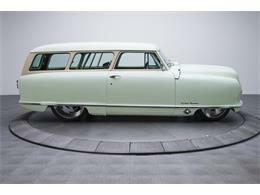 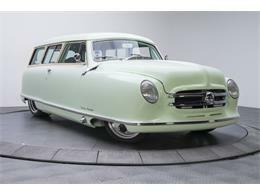 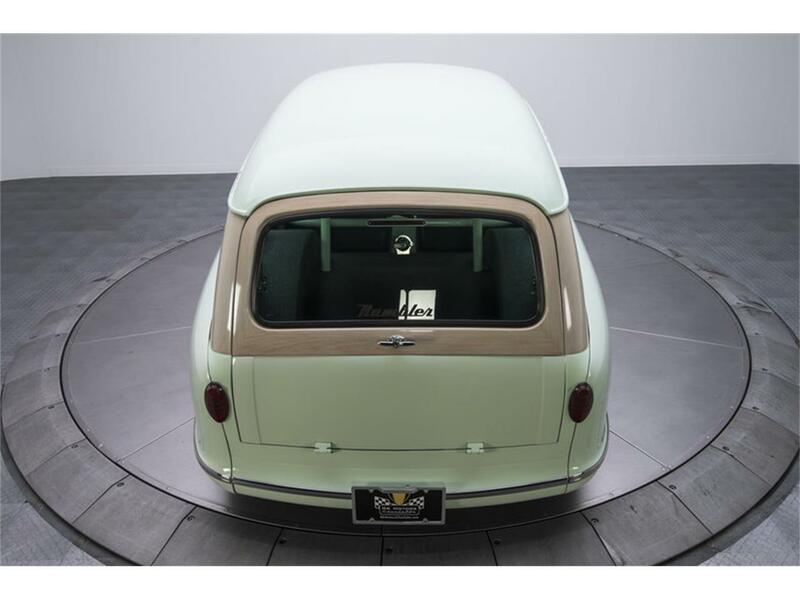 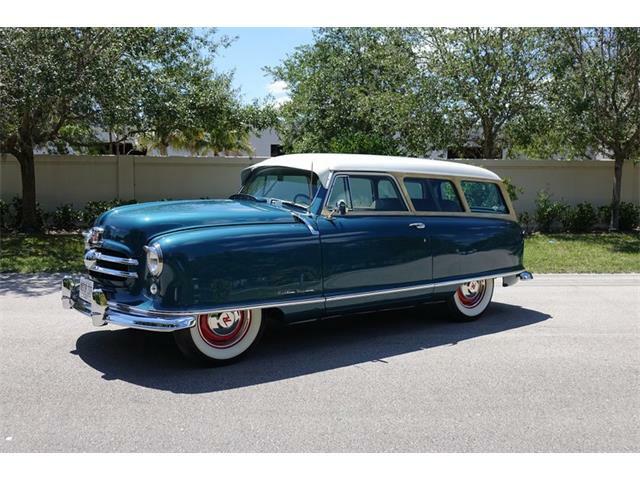 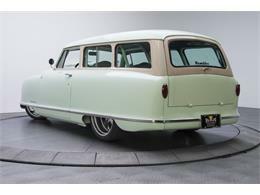 HOWEVER, this streamlined wagon isn't just some carved compact that's been wrapped in pretty paint. 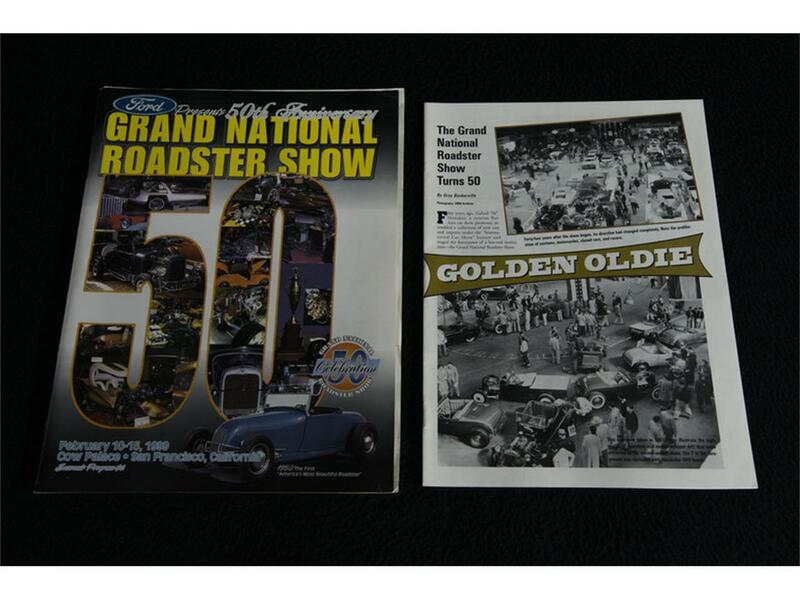 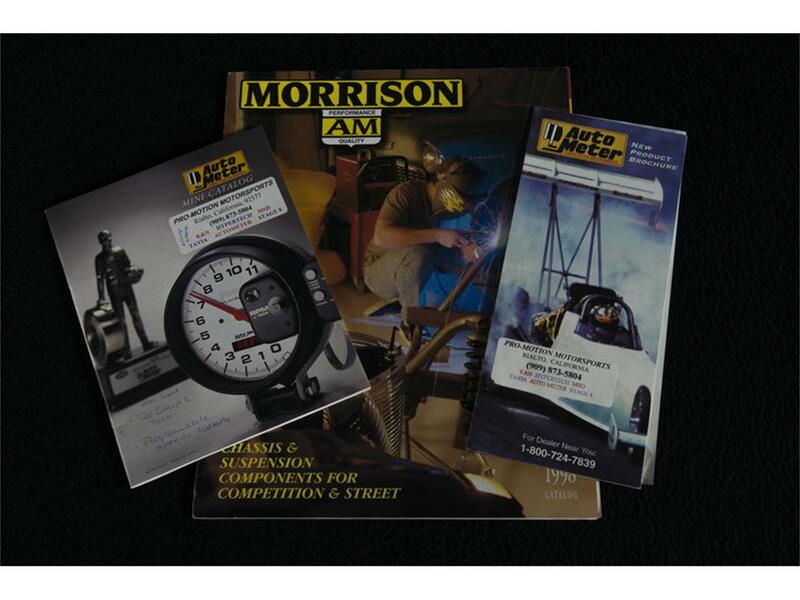 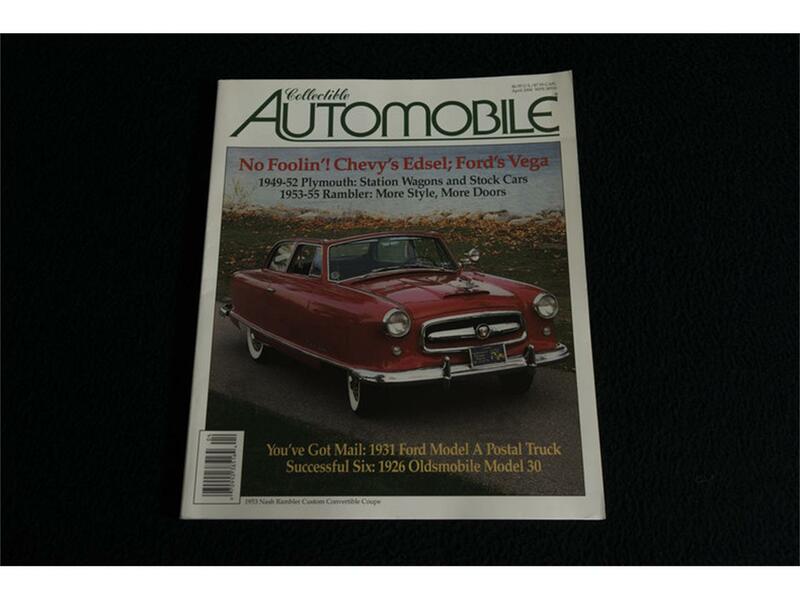 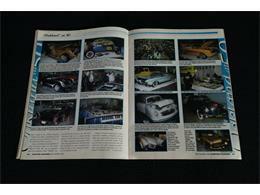 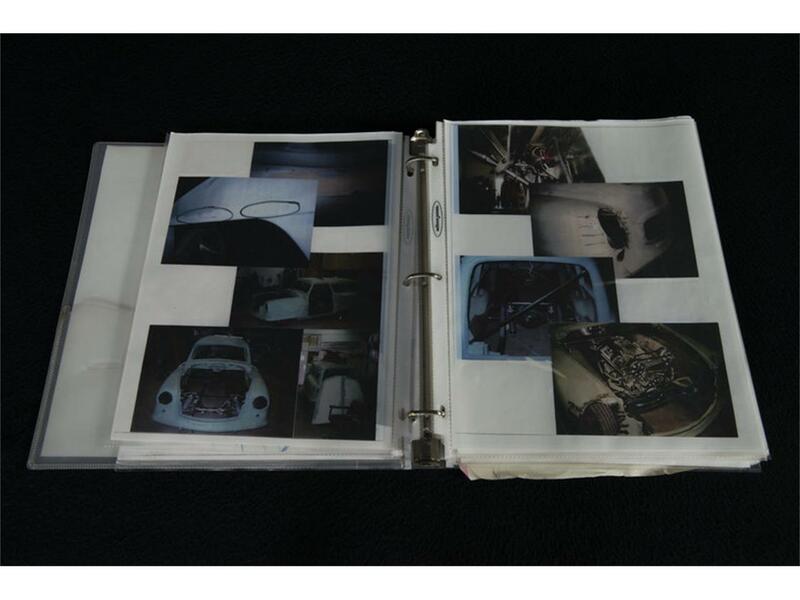 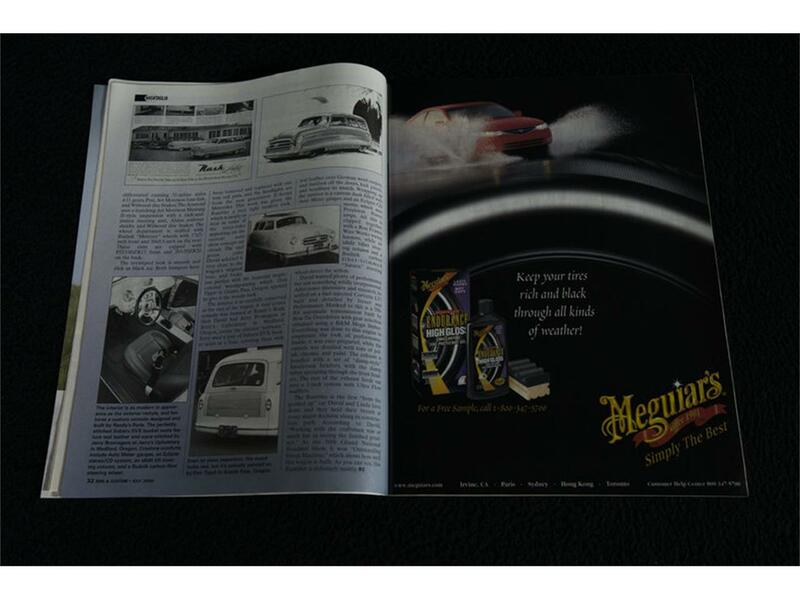 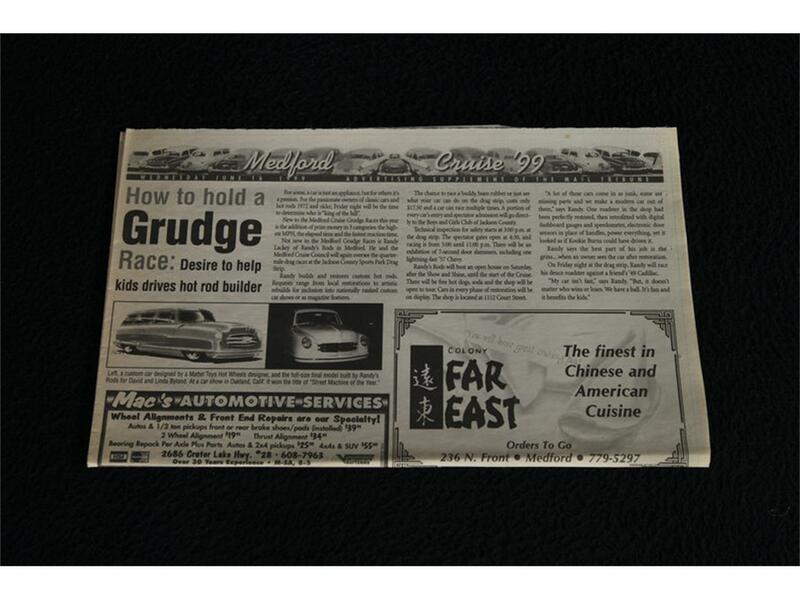 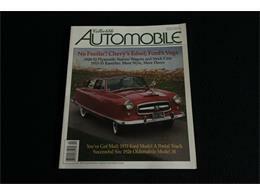 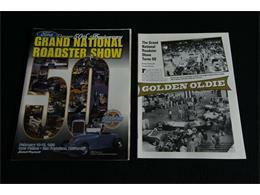 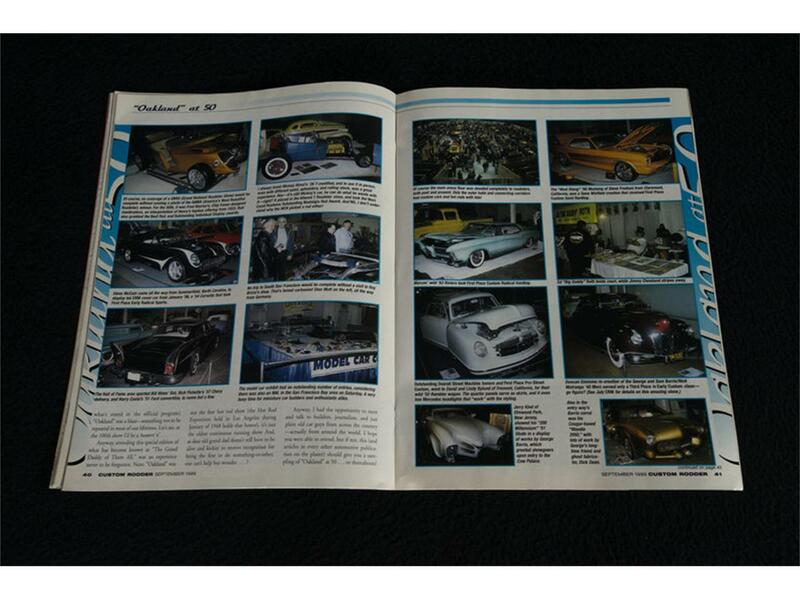 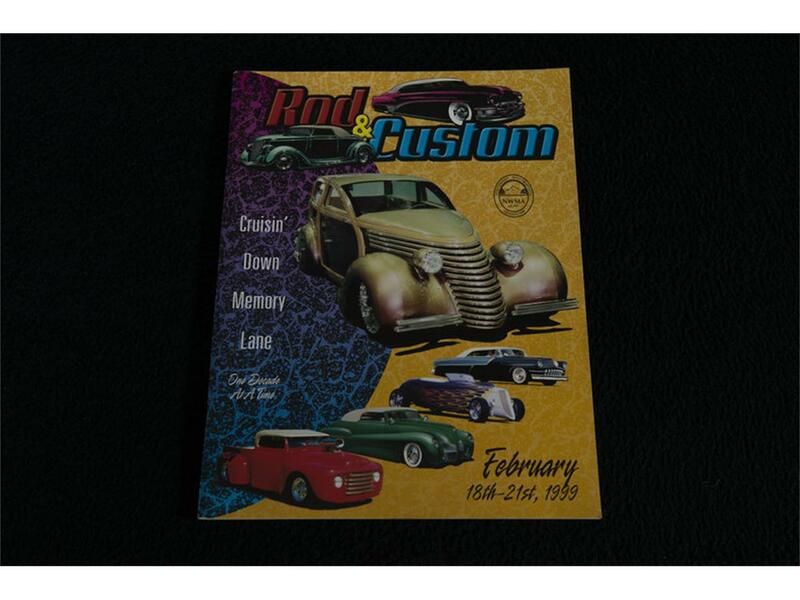 It's a magazine featured national award winner that, thanks to ground-up customization, has garnered major accolades from organizations like Goodguys, NSRA, GNRS and ISCA. 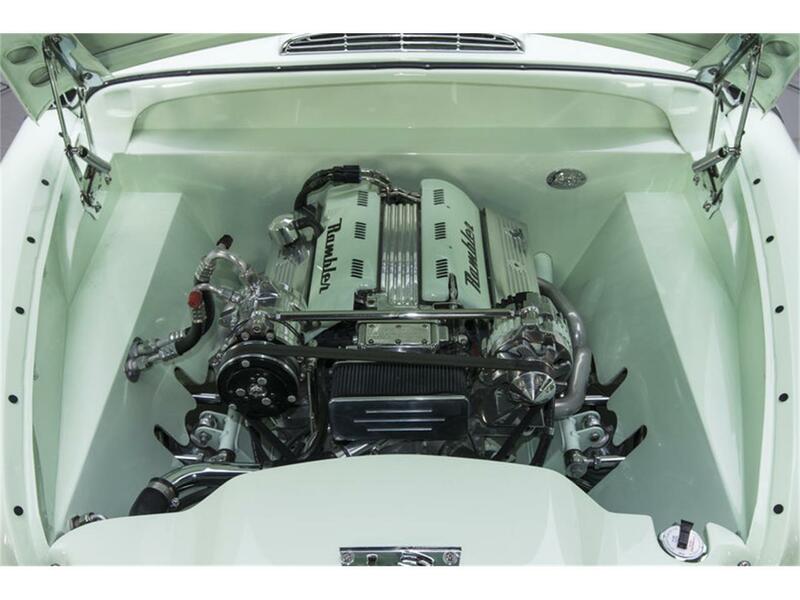 Backing a Street & Performance LT1 with a roster of top notch equipment that makes it safe, appealing and practical, this custom is REAL serious about fulfilling its big promises. 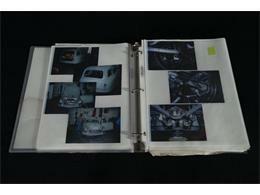 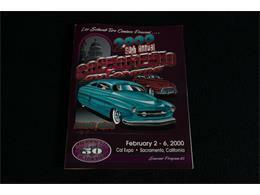 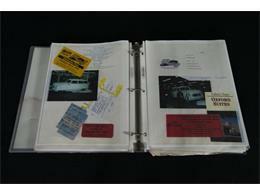 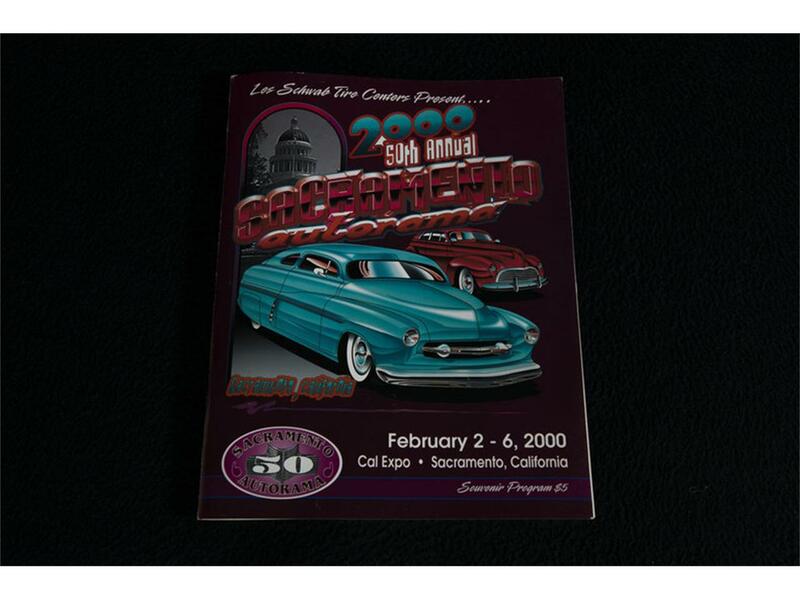 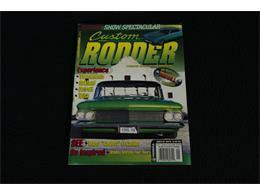 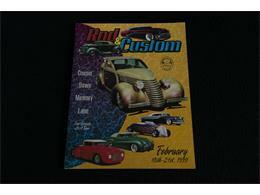 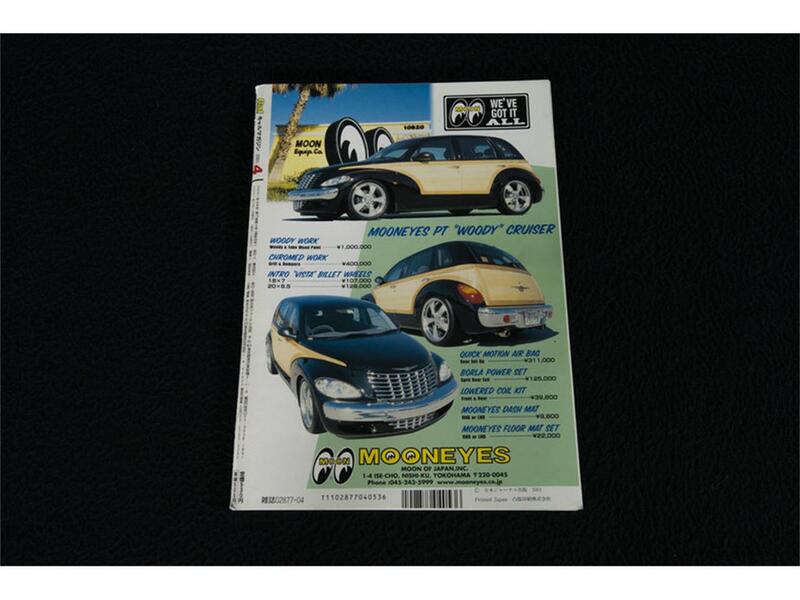 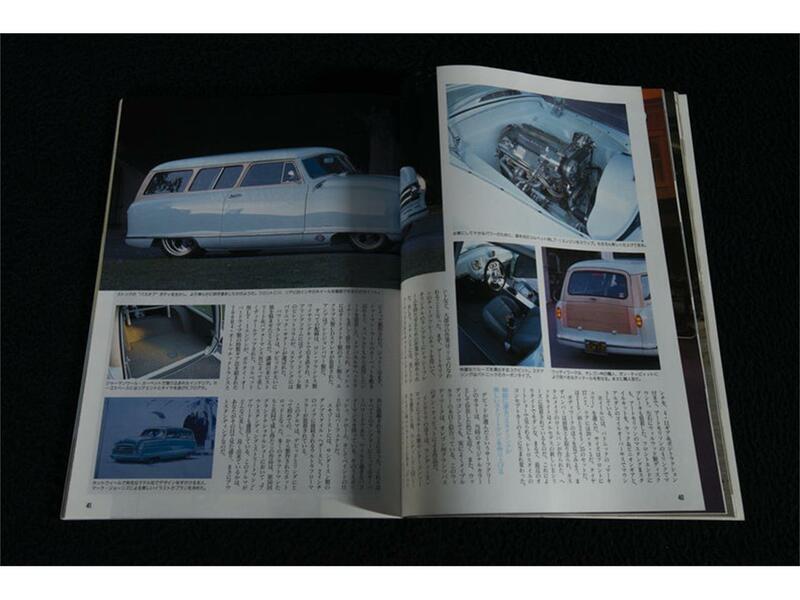 Completed in 1999, it's been featured in Custom Rodder, Rod & Custom and Japan's Cal Magazine. 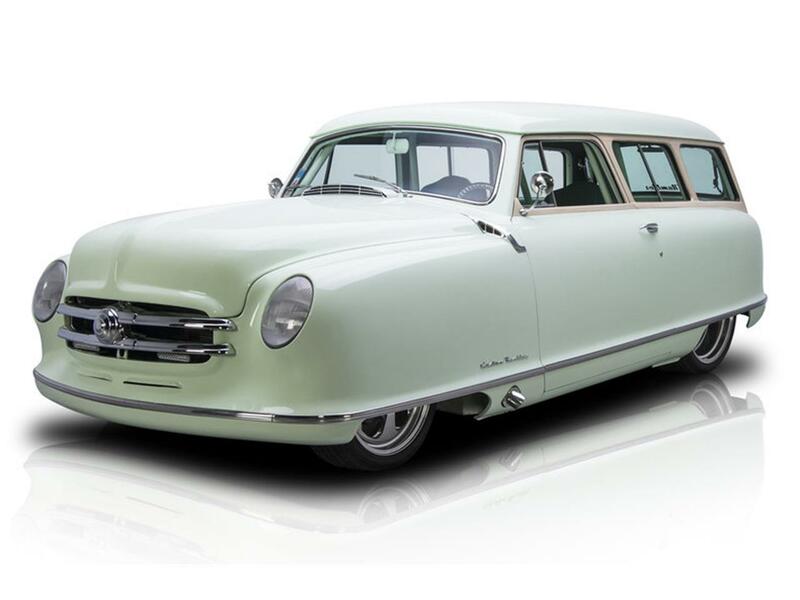 And the best part is: even with its show stopping aesthetics, you can fill the car with run-of-the-mill pump gas and parade it up and down Main Street. 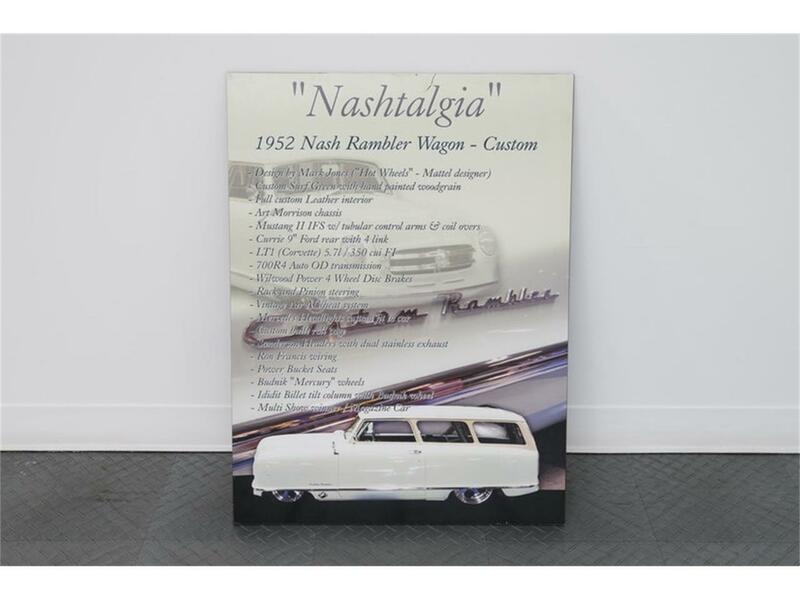 If you're the kind of enthusiast who wants a classic that poses well for judges AND looks good on the strip, check out this 'Nashtalgic' Rambler! When you set your sights on creating something legit and truly unique, you just can't go wrong starting with vintage American steel. 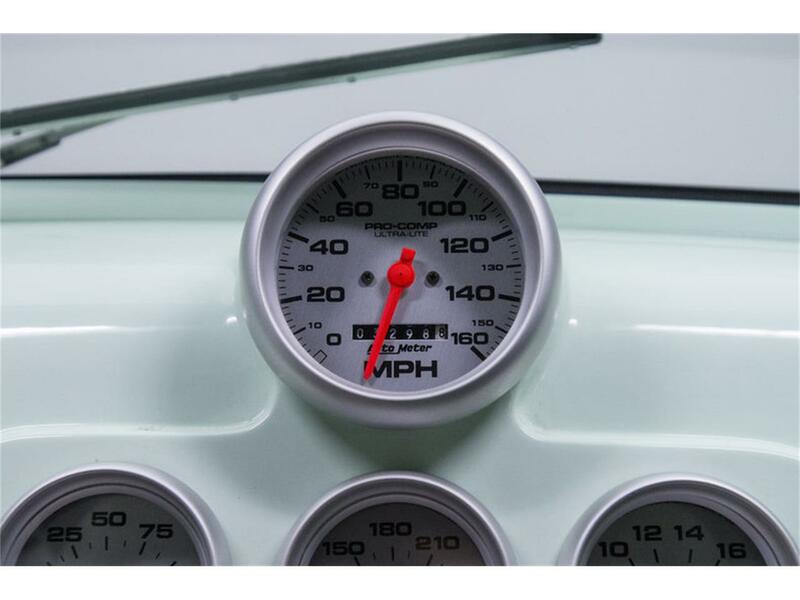 Thankfully, the folks at Randy's Rods of Medford, Oregon certainly know how to massage attractive factory fodder into an immaculate, world-class custom. 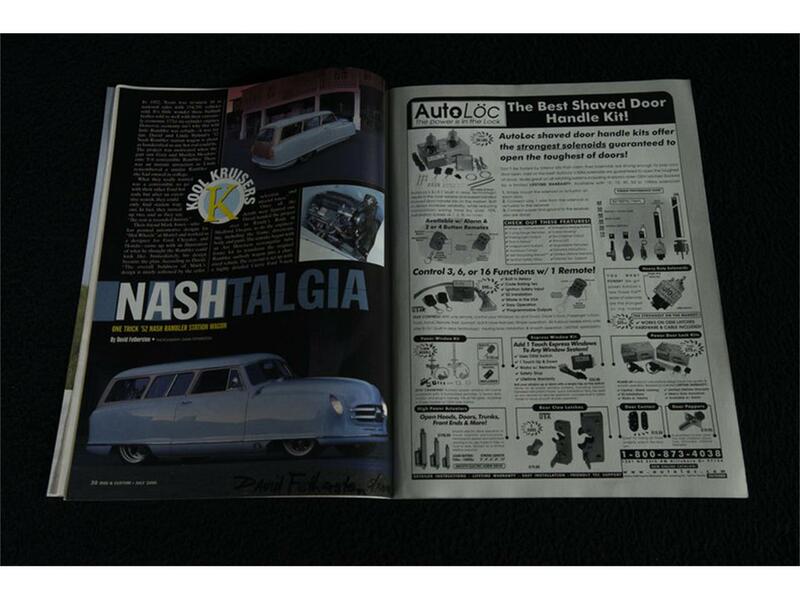 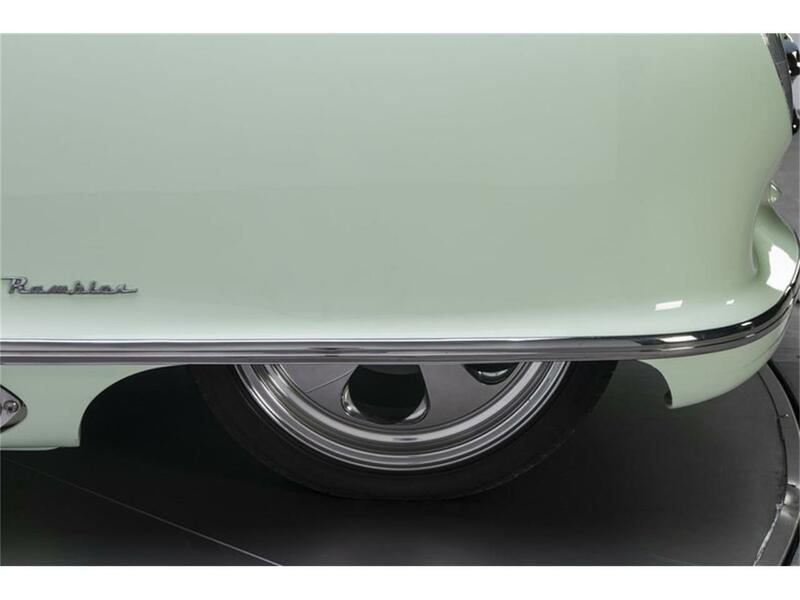 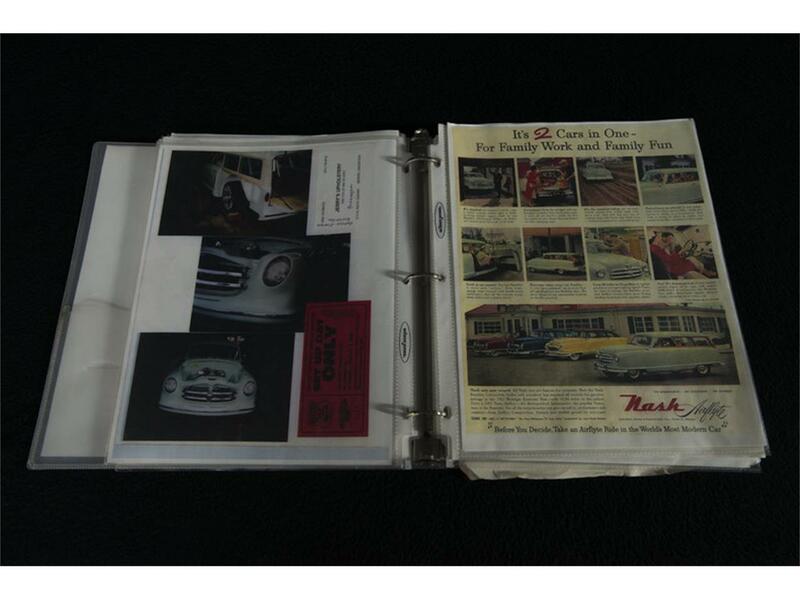 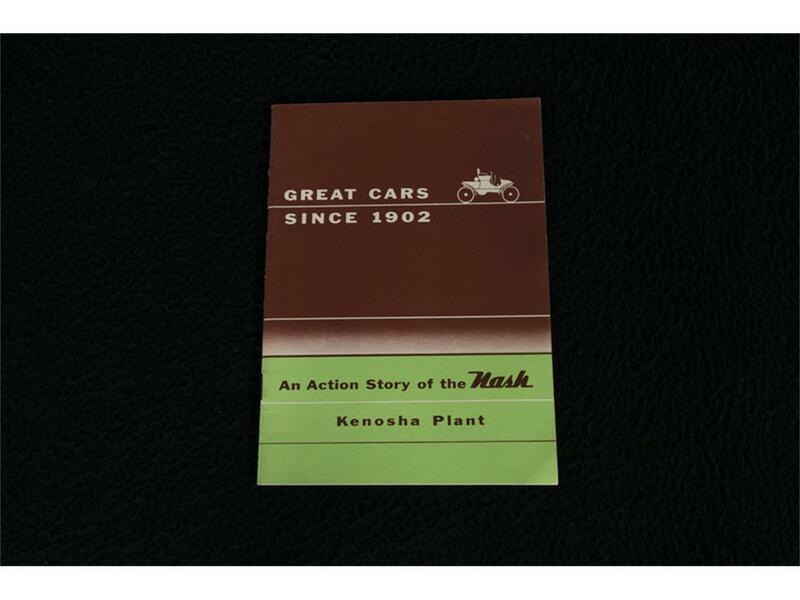 Designed by Mark Jones of Mattel, Hot Wheels, Ford, Chrysler and Honda fame, this Nash really began to hit its stride in the summer of 1999. 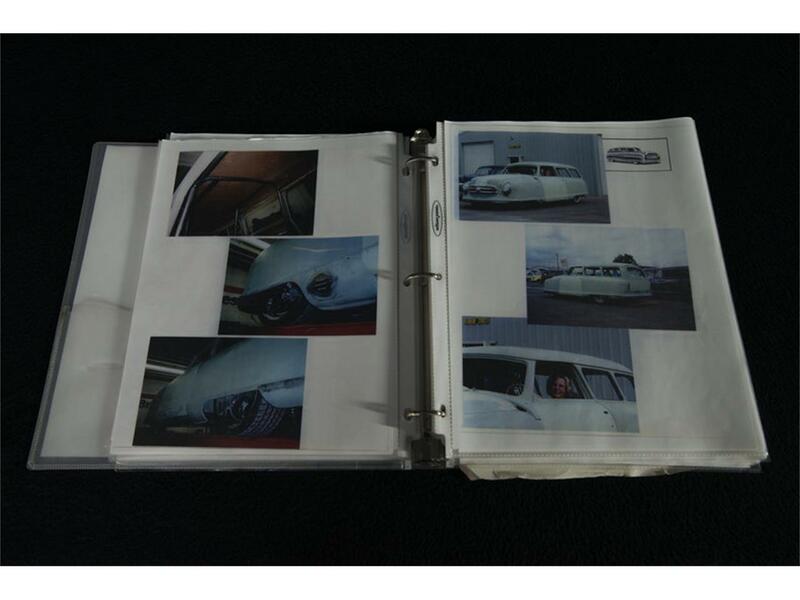 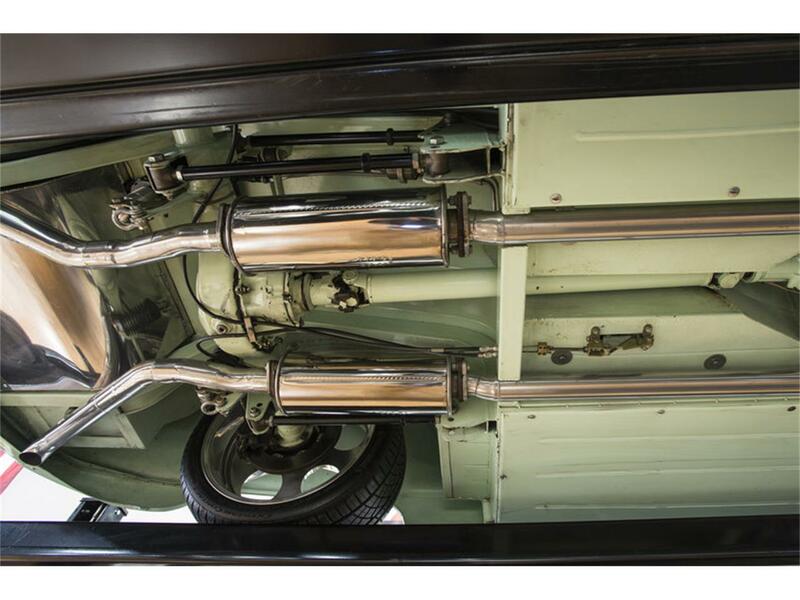 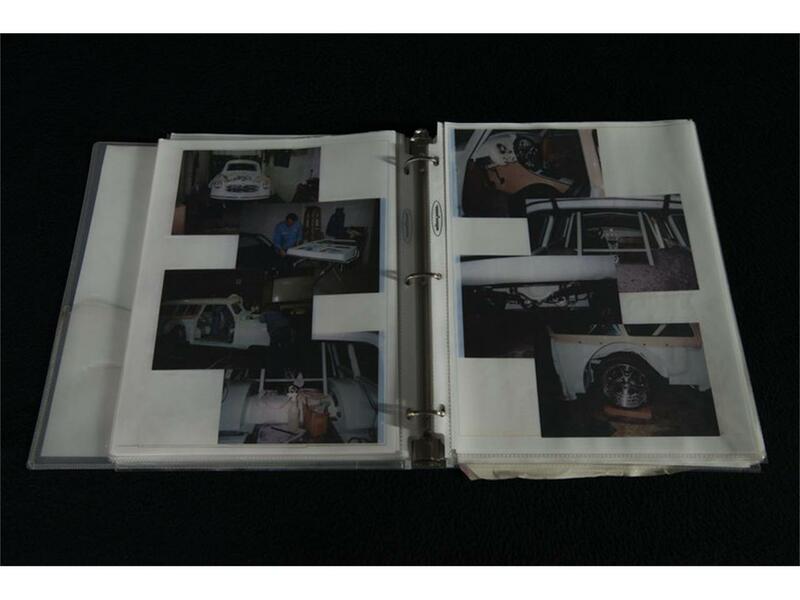 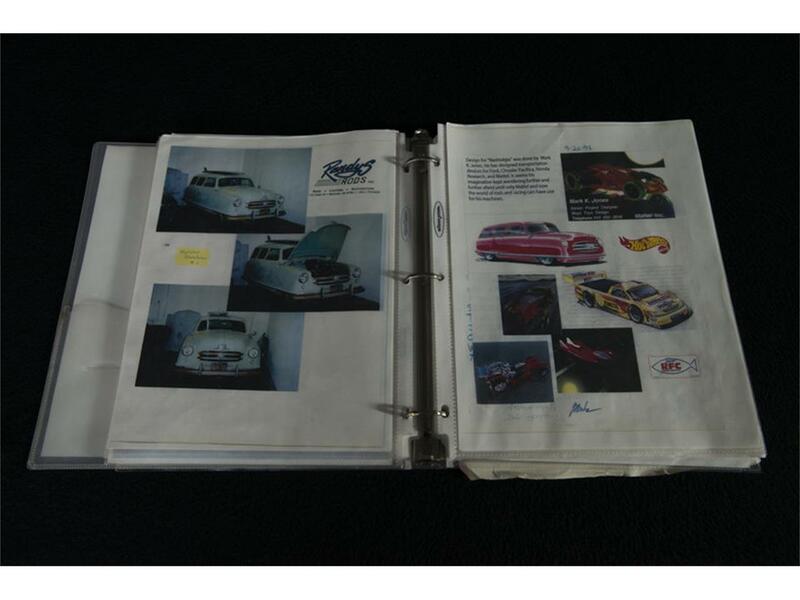 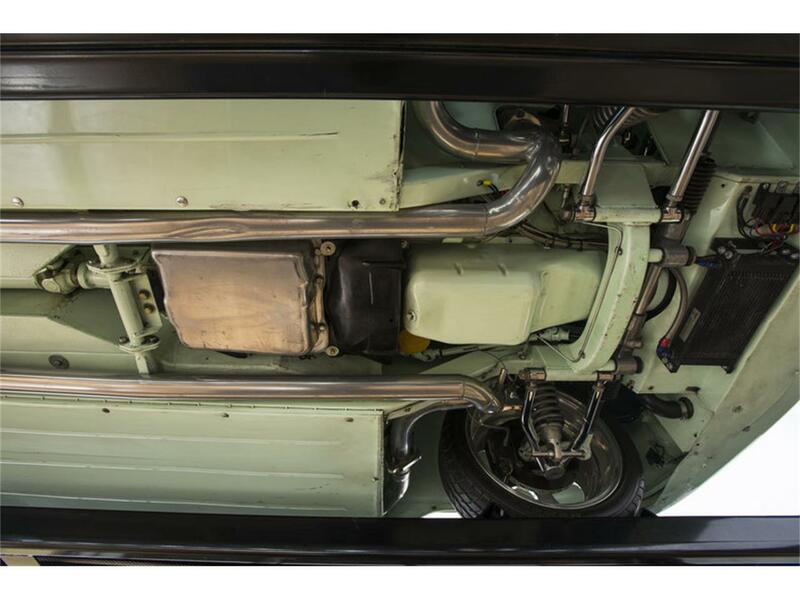 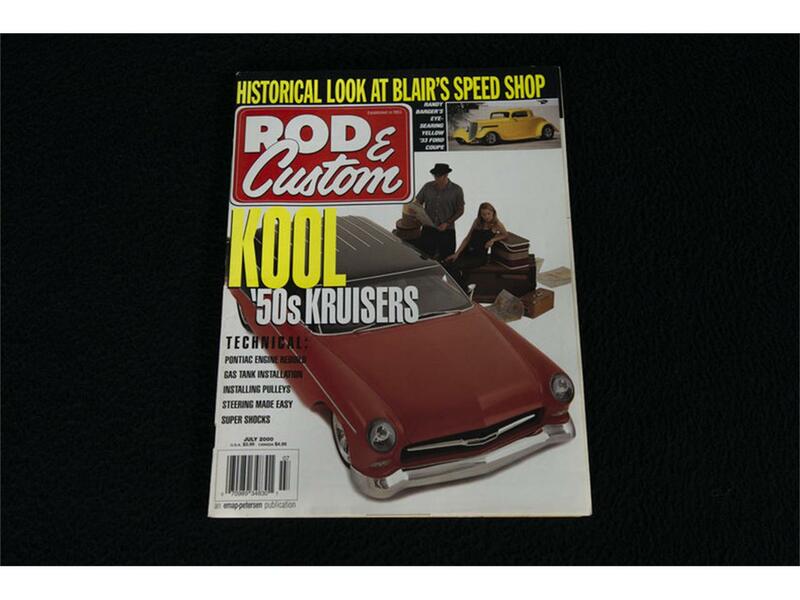 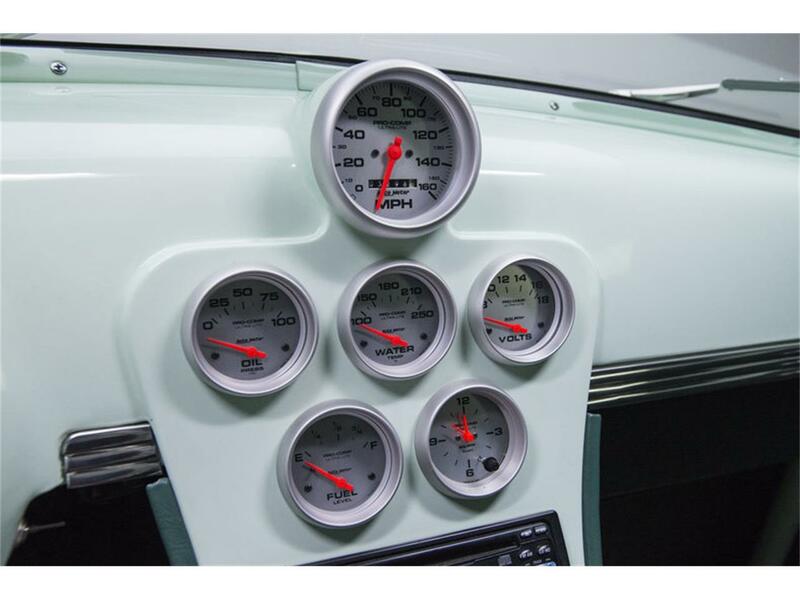 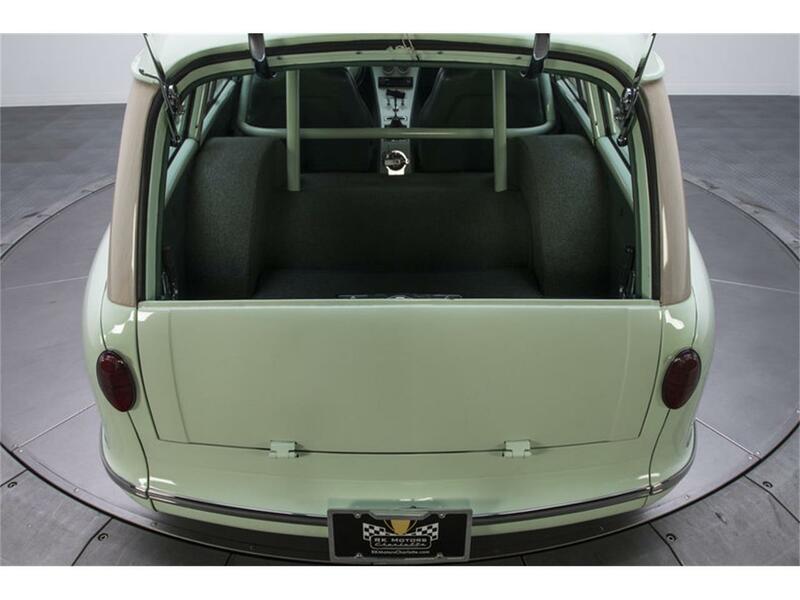 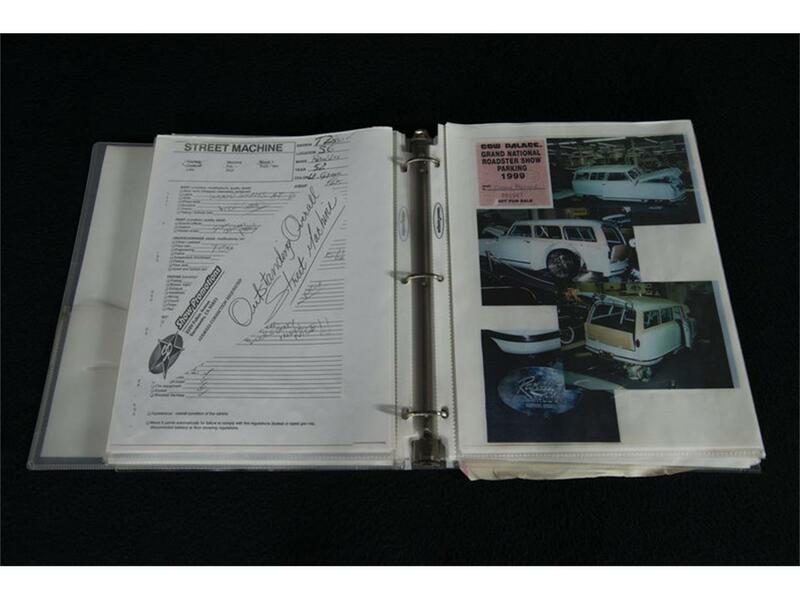 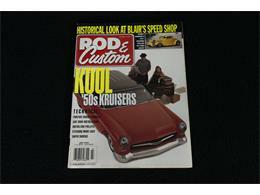 With the help of Randy's Rods, 6-figures worth of build money and the official Mark Jones sketches included with our sale, the car was transformed from a cool classic into a national headliner. 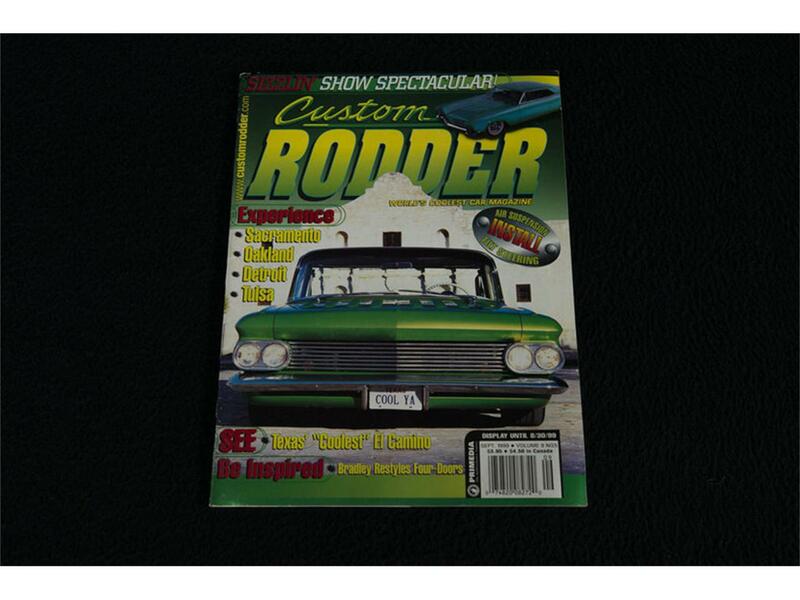 A big reason for that headlining status is a smooth profile that was bathed in custom Surf Green base, sealed in glossy clear and detailed with simulated wood accents - hand-painted by artist Don Tippit. Naturally, those aesthetics have been buffed to a wet-looking shine. 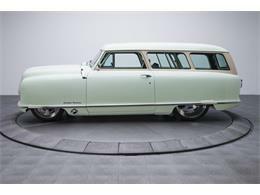 And today, this wagon prowls the scene as a dreamy pavement pounder that's poised to turn heads! 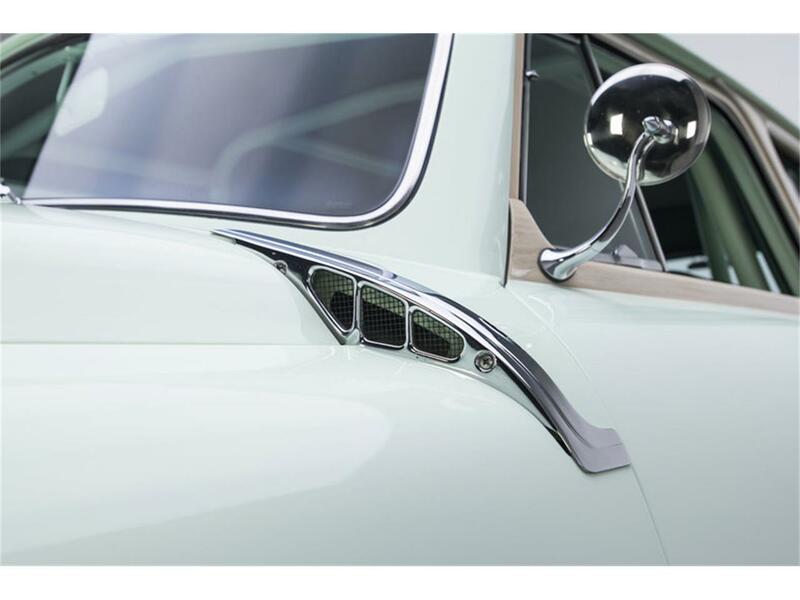 Thanks to acute attention to detail, this trophy queen puts the "show" in showstopper. At the front of the car, a polished grille hangs small parking lamps between a custom, stainless-trimmed valance and custom Mercedes E-Class headlights. 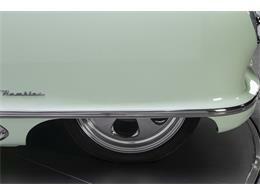 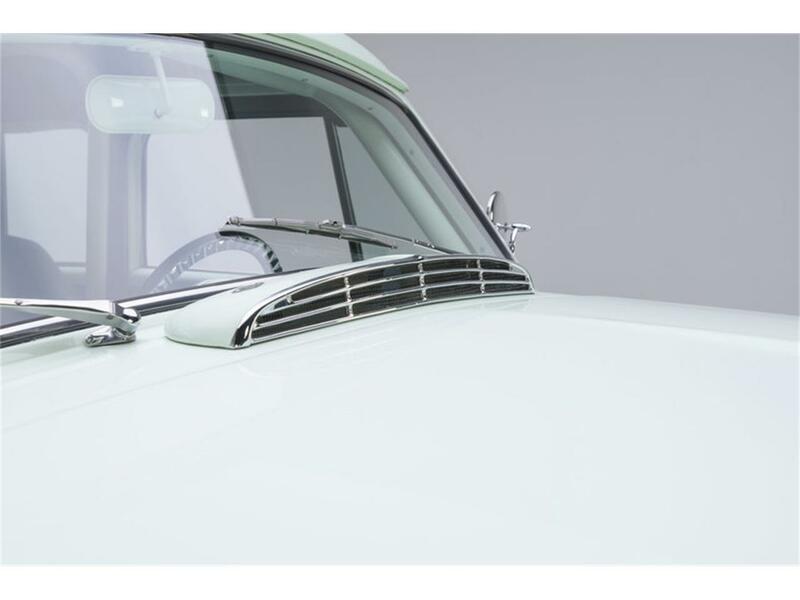 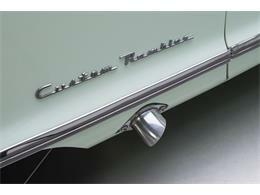 At the sides of that grille, a stainless-trimmed fuselage levels cursive "Custom Rambler" scripts between polished mirrors, unique door handles and coated exhaust dumps. 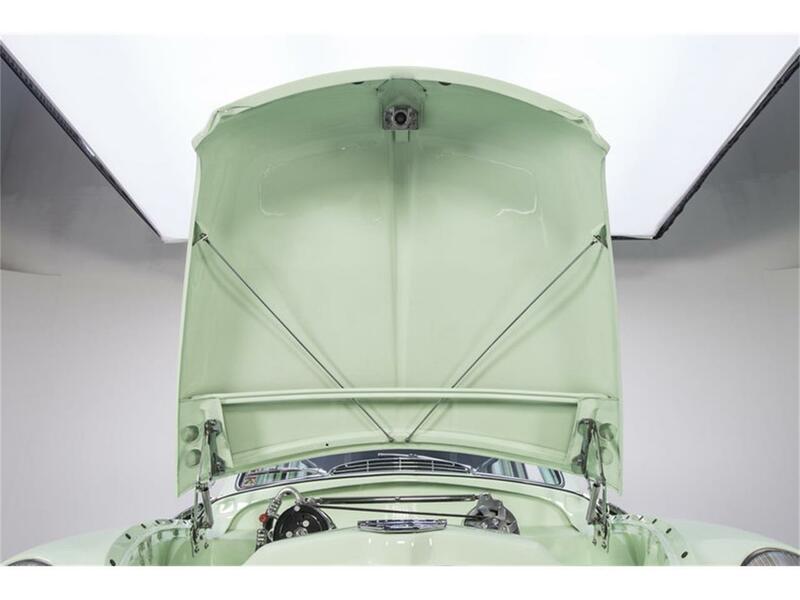 At the top of that fuselage, a stainless-trimmed windshield and fresh greenhouse back a long hood, cool cowl vents and polished wipers. 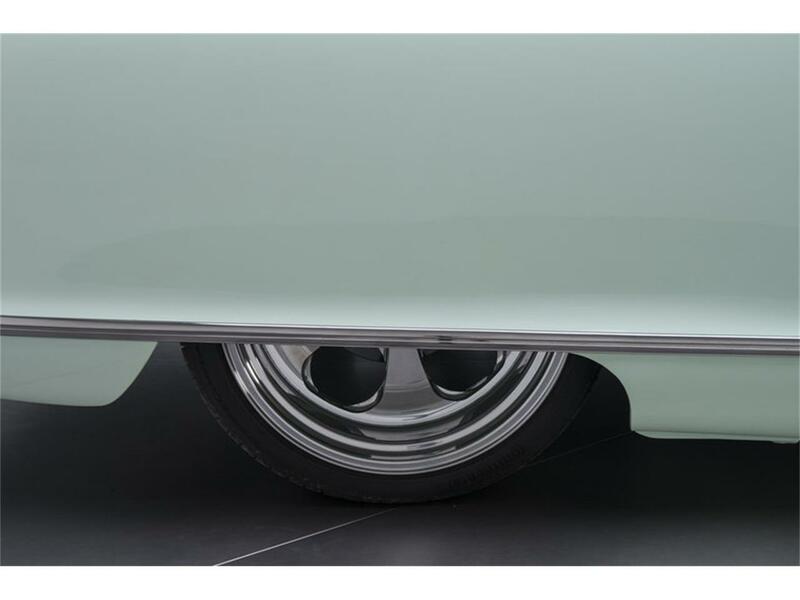 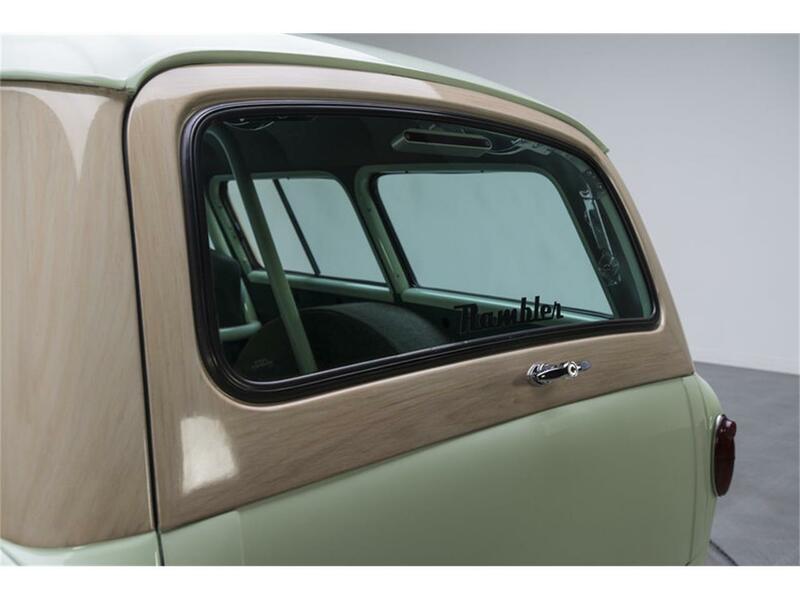 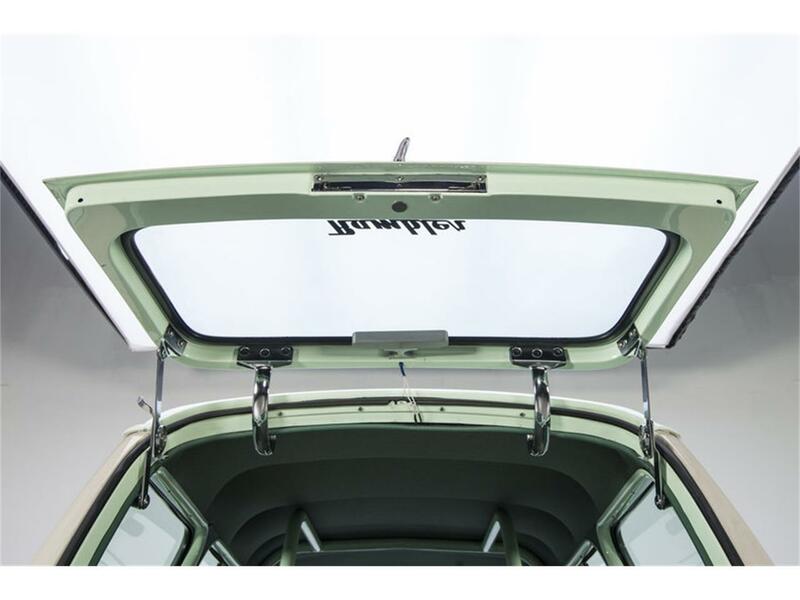 And at the back of that glass, a "Rambler" branded tailgate anchors chrome hatch hardware and a billet Center High Mount Stop Lamp between factory taillights and a custom, stainless-trimmed roll pan. 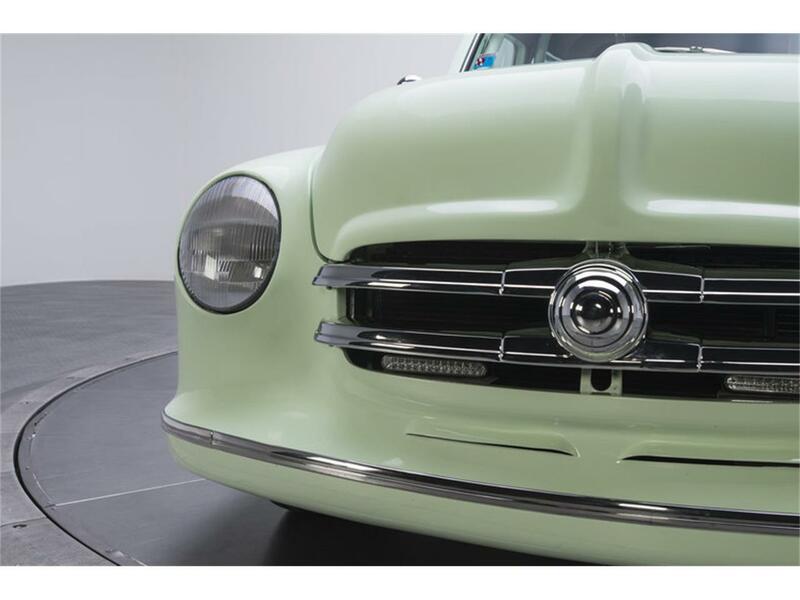 This sweet looking Airflyte is powered by a polished and painted LT1 that was sourced directly from Mena, Arkansas' Street & Performance. 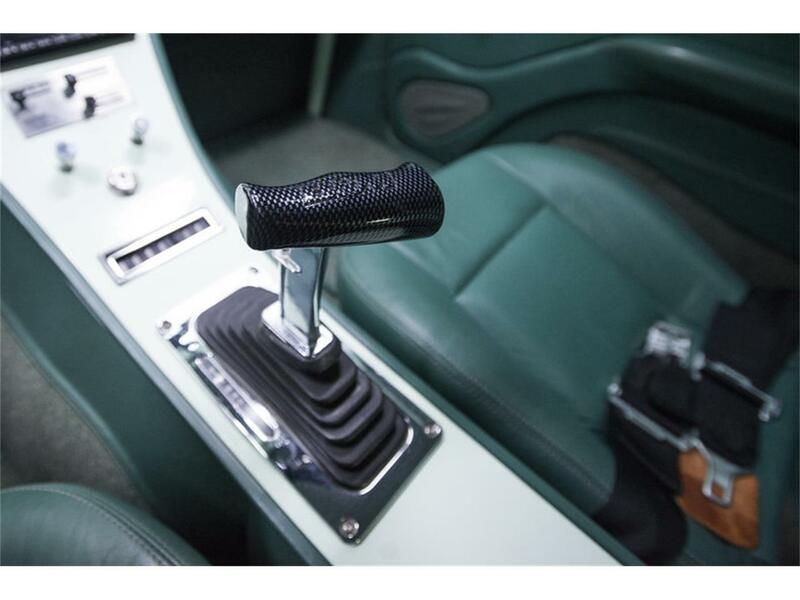 Built to tear up the street and wow show goers alike, the fully sorted mill, which complements a sturdy iron block with GM-spec heads and a full outfit of Street & Performance flash, combines OEM reliability with razor-sharp performance. 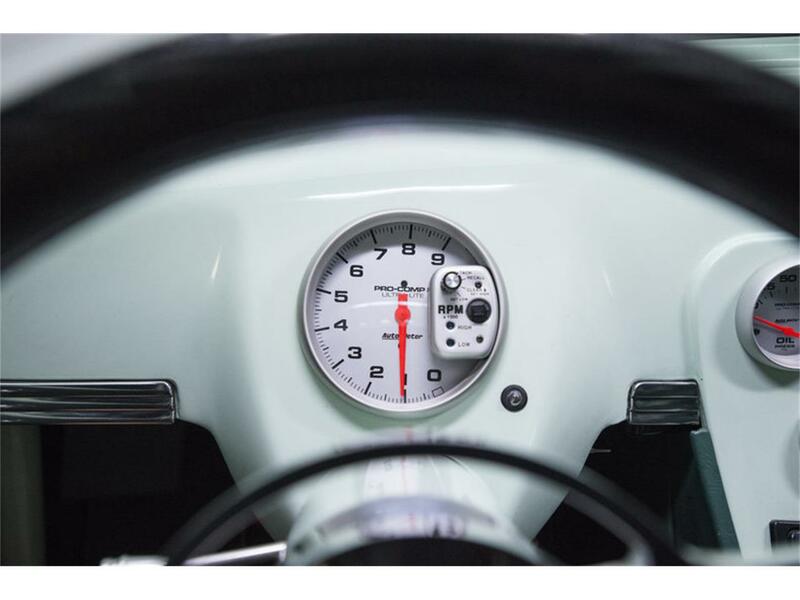 At the front of the color-keyed block, a polished accessory drive spins a green-tinged alternator, a polished AC compressor and an aluminum water pump assembly beneath a polished air cleaner. Once air enters that cleaner, it flows through a GM-spec throttle body to a GM-spec intake that's bolted down over GM-spec internals. 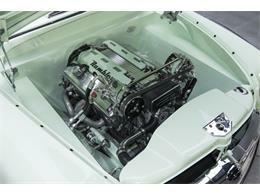 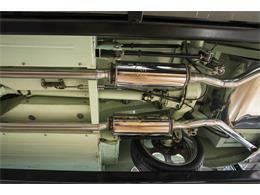 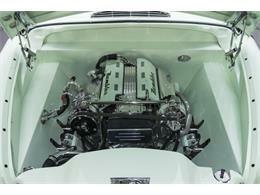 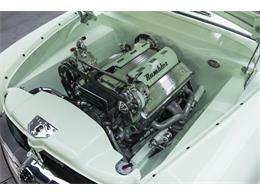 Distilled fossils are provided by polished Street & Performance Tuned Port Injection. 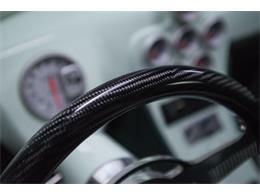 Sparks are sequenced from a GM computer to loomed Taylor plug wires. 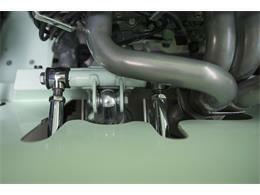 Spent gases swirl through ceramic-coated Sanderson block huggers. 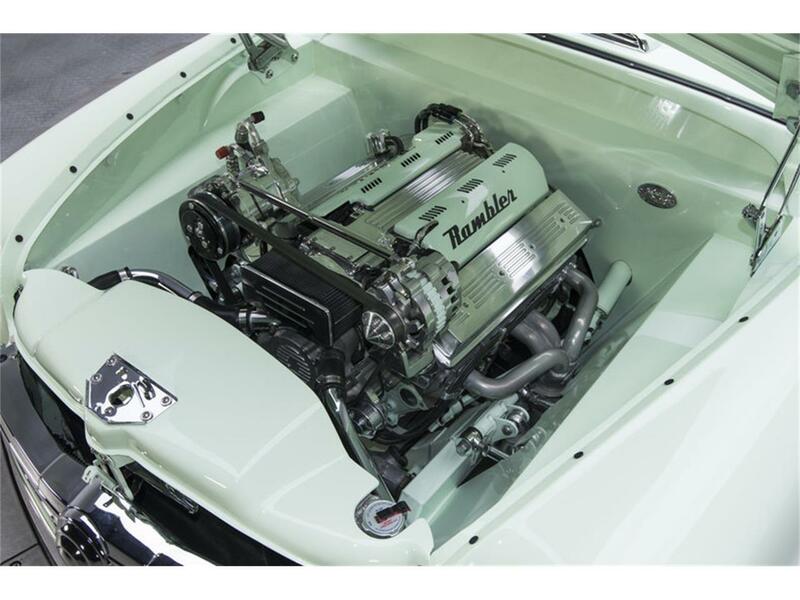 And cooling comes courtesy of a large aluminum radiator that's fitted with a Surf Green shroud, electronic puller fans and polished water tubes. On the visual end of the spectrum, polished valve covers and polished breathers perfectly complement trick dipsticks, chrome hood supports and a chrome hood latch. 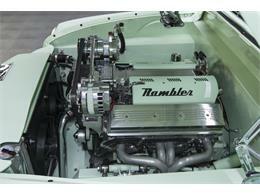 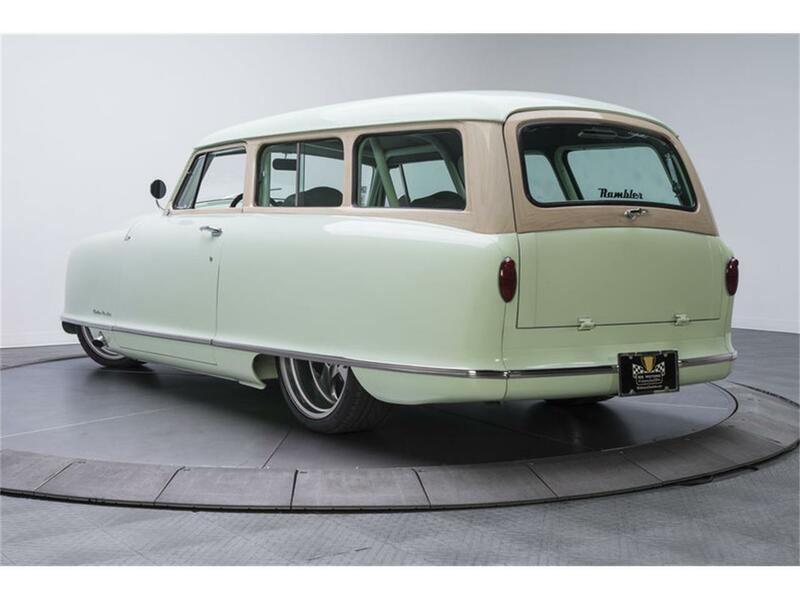 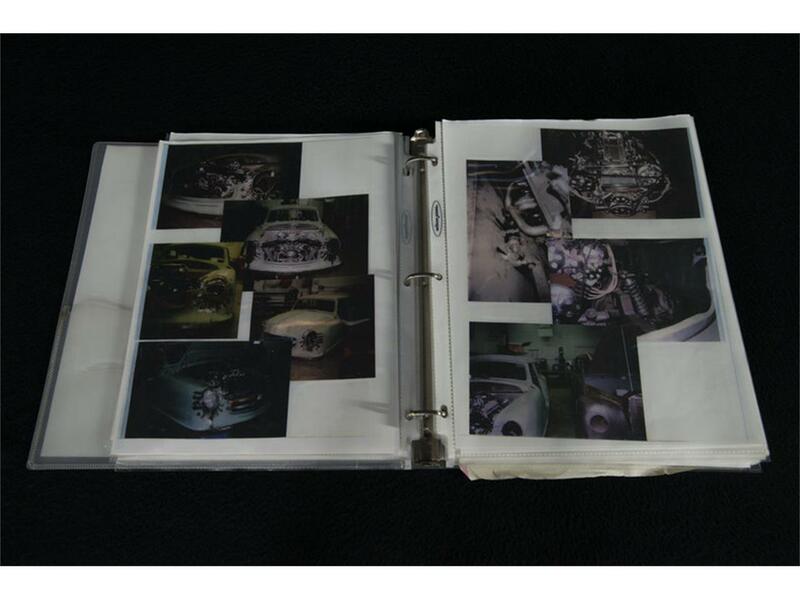 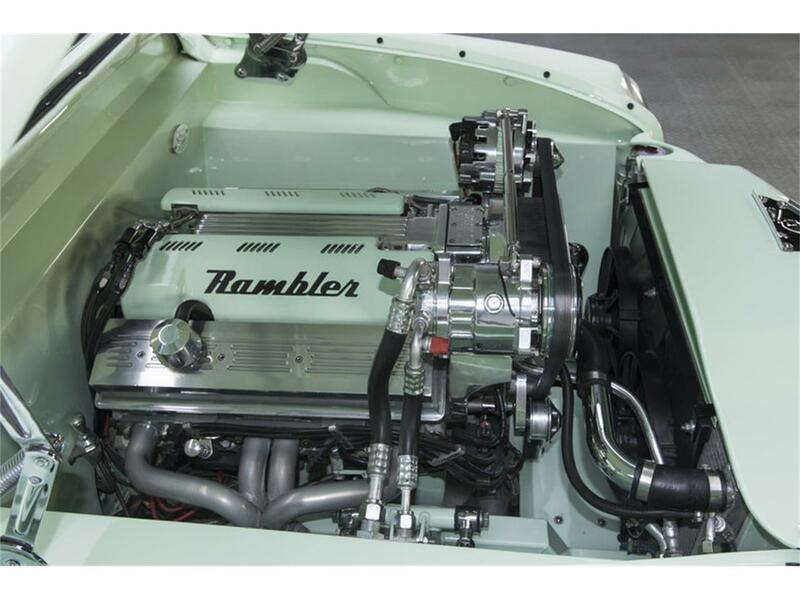 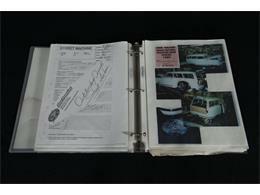 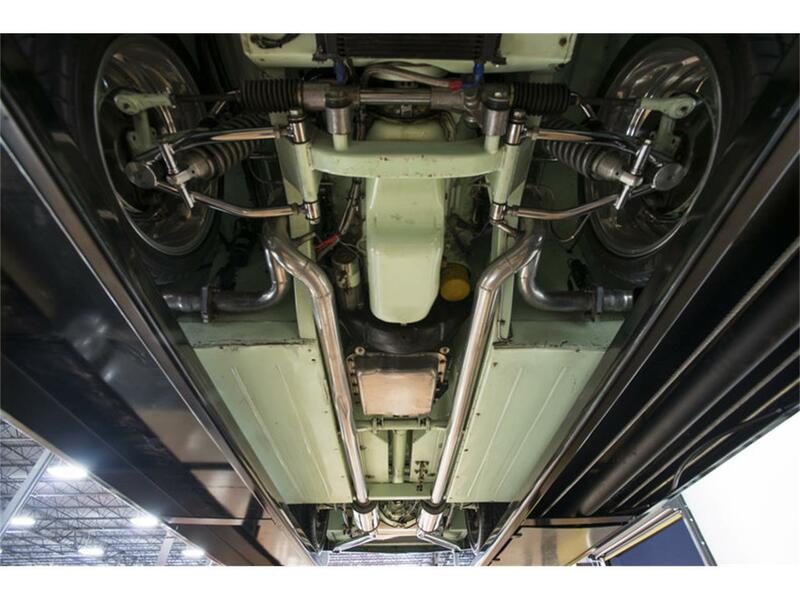 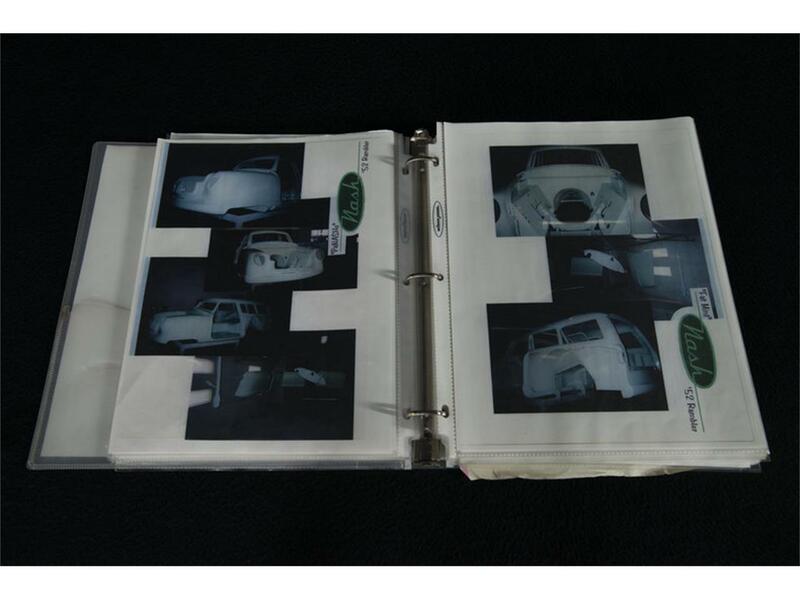 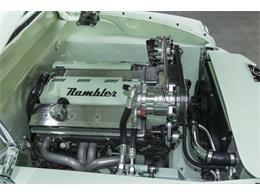 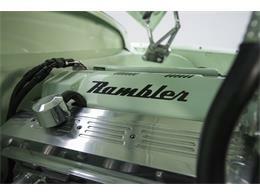 And the over-restored engine compartment, which includes a custom firewall, custom fenders and custom, "Rambler" branded fuel rail covers, has been completely finished to match the car's stunning exterior. 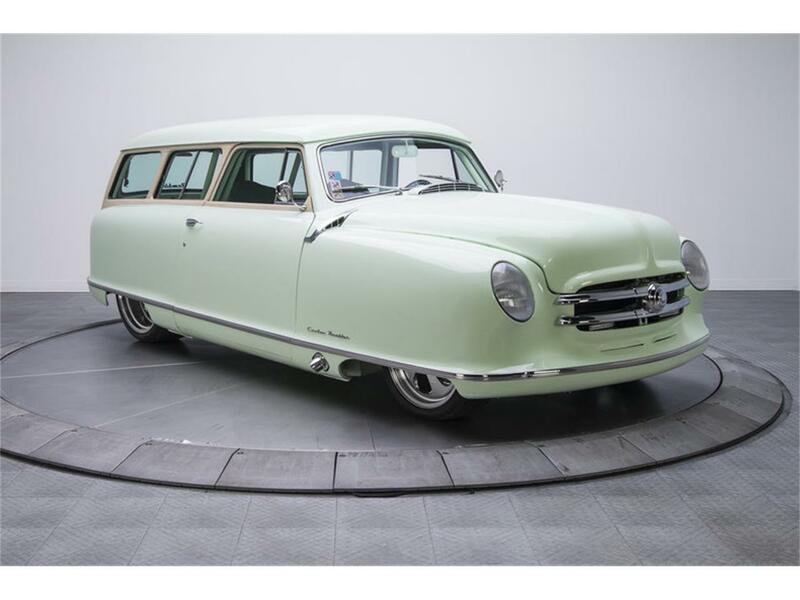 Perhaps the most impressive part of this Rambler's build is the full Art Morrison chassis that serves as the car's foundation. 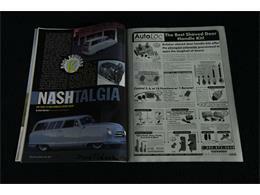 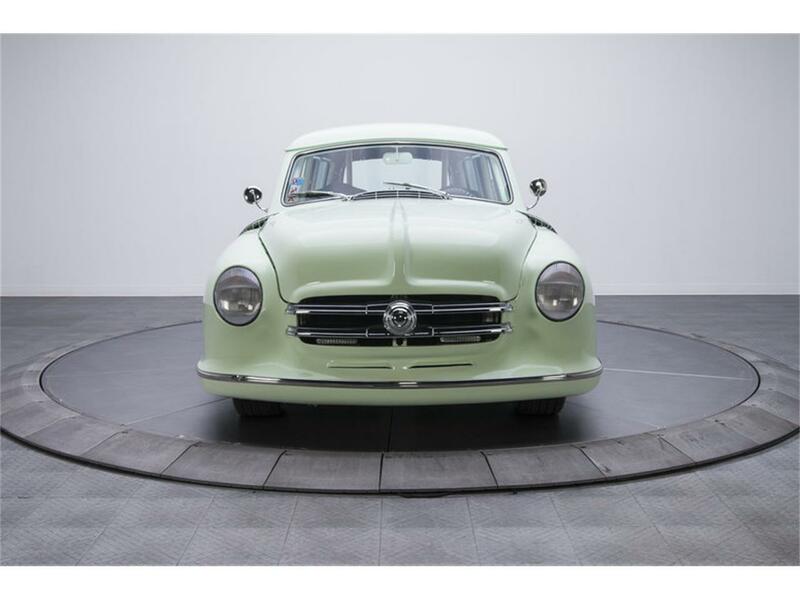 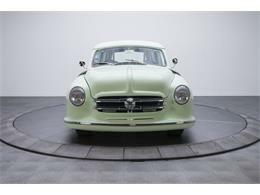 That's right, in the name of better performance metrics this Nash's extensive transformation included a transition from unibody to body-on-frame. 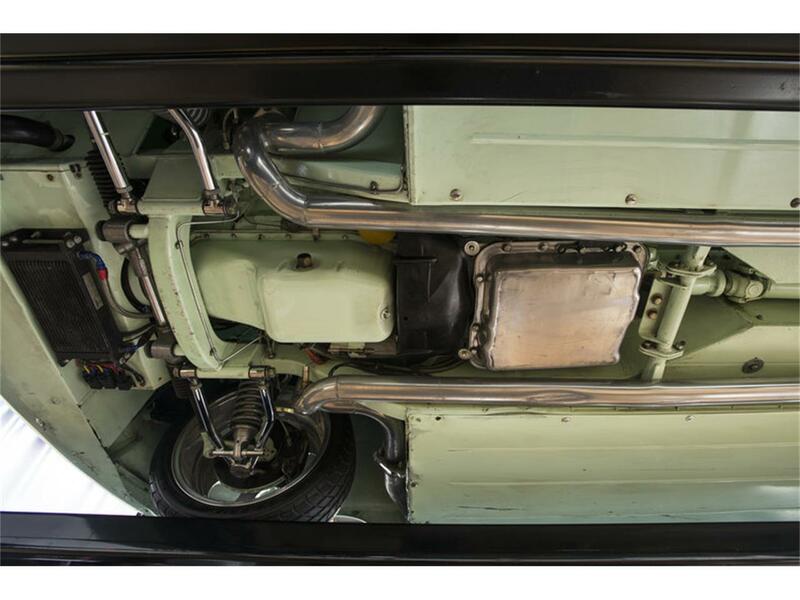 At the center of those rectangular tube bones, a smooth 700R4 4-speed, built by Bowtie Overdrives, twists power to a 9-inch Currie pumpkin that's fitted with 4.11 gears, a posi-traction differential and 31-spline axles. 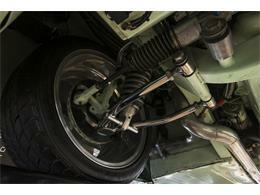 Not surprisingly, that axle rides on a modern 4-link suspension that's finished with adjustable QA-1 coil-overs. 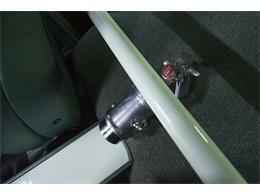 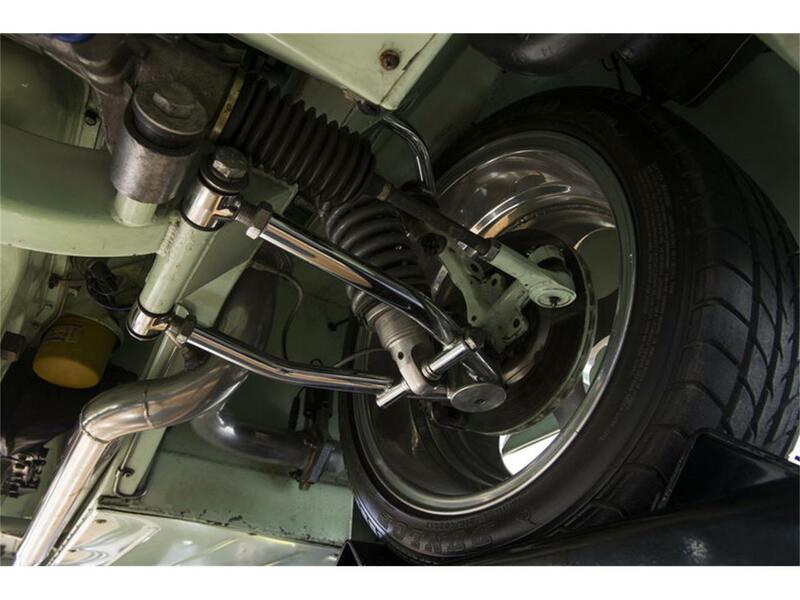 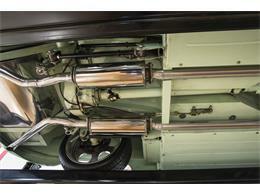 Opposite that clip, a Mustang II front-half hangs two more coil-overs between polished, tubular control arms. 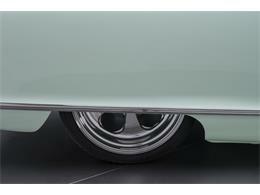 Naturally, that pavement-gripping foundation is augmented with modern rack-and-pinion steering. Beefy Wilwood calipers squeeze four vented discs to bring everything to a hurried halt. 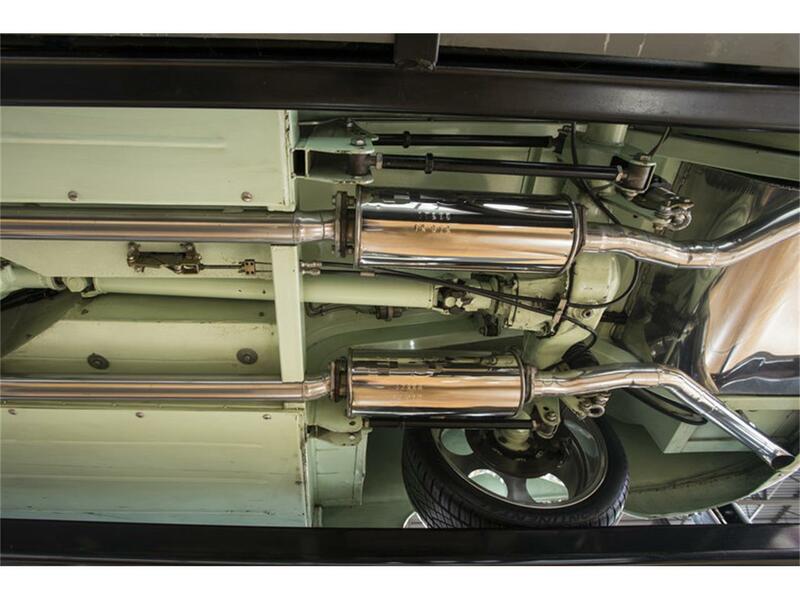 An intimidating engine note comes courtesy of a 2-inch exhaust system, which, behind the aforementioned dumps, threads polished Dynomax Ultra Flo mufflers in to ceramic-coated pipes. Power meets the pavement through skirted Budnik Mercurys, which lap 215/40ZR17 Dunlops in front of 265/35ZR20 Continentals. 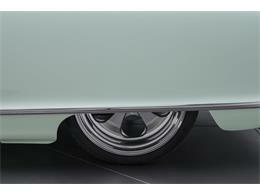 And overall, the car's body-matched floors are clean and free of significant weathering. Off the assembly line, Nash compacts were pretty spartan. 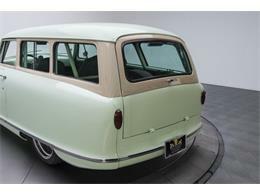 But this classic is long past its days of serving as frugal transportation from point A to point B. 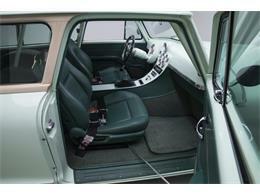 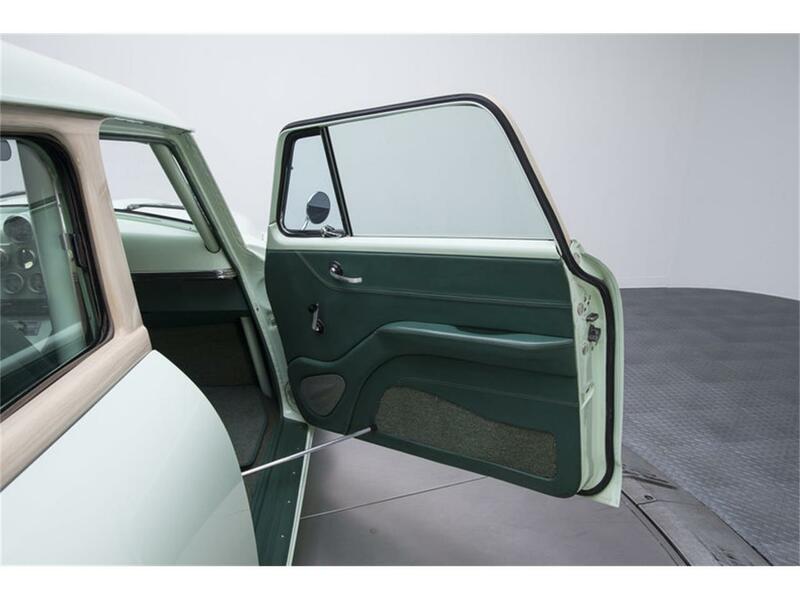 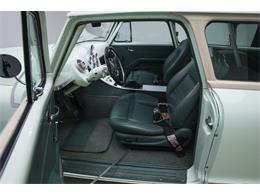 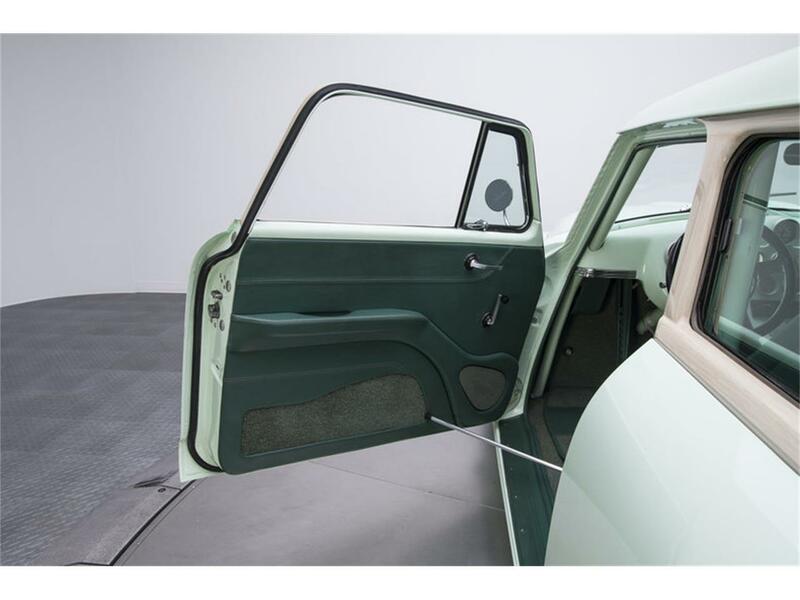 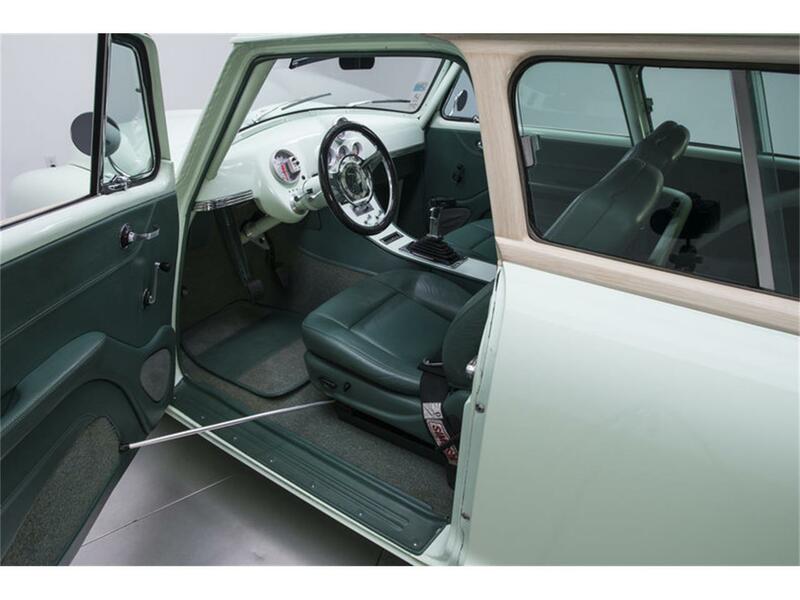 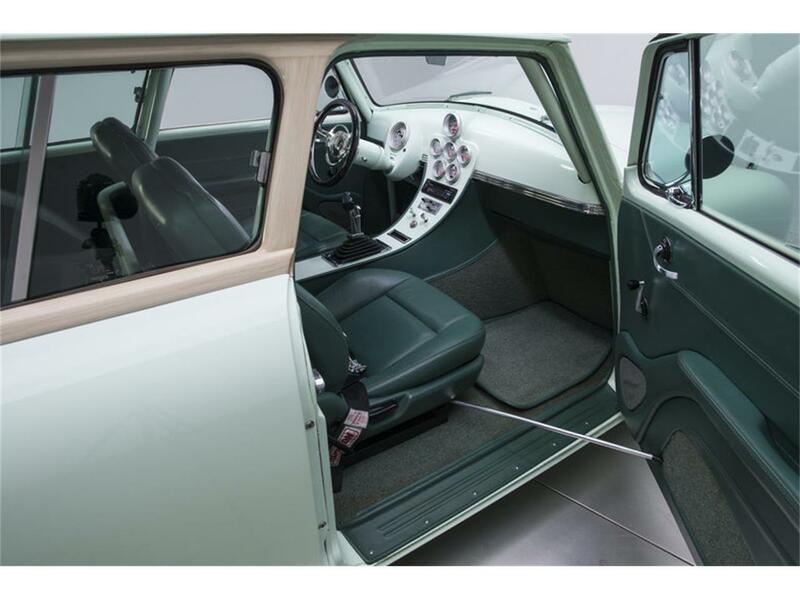 Pop the doors and you'll find a custom leather interior that was installed by Jerry's Upholstery of Medford, Oregon. 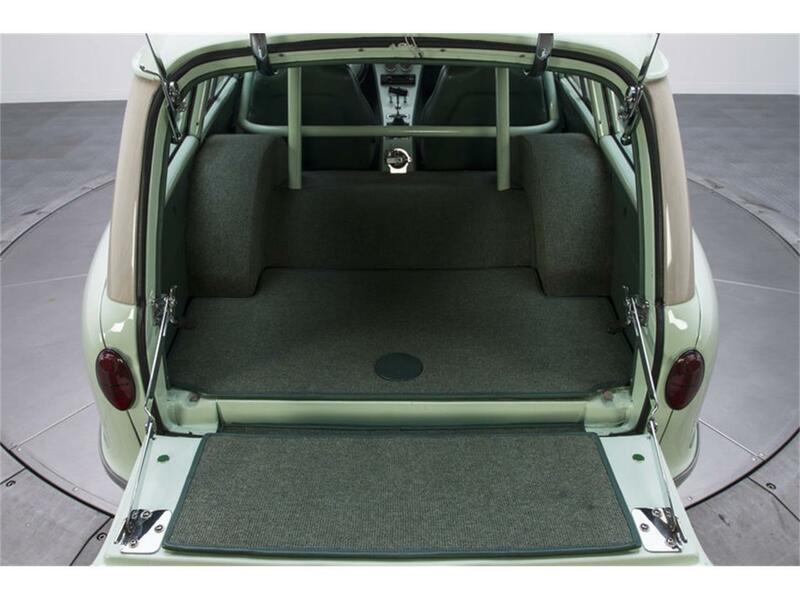 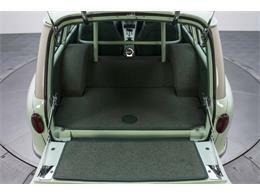 At ground level, German Wool carpet balances piped and color-keyed floor mats under custom foot pedals. On top of that carpet, French-stitched Subaru SVX buckets tuck Teal covers between Simpson lap belts and power adjustment for the car's driver. 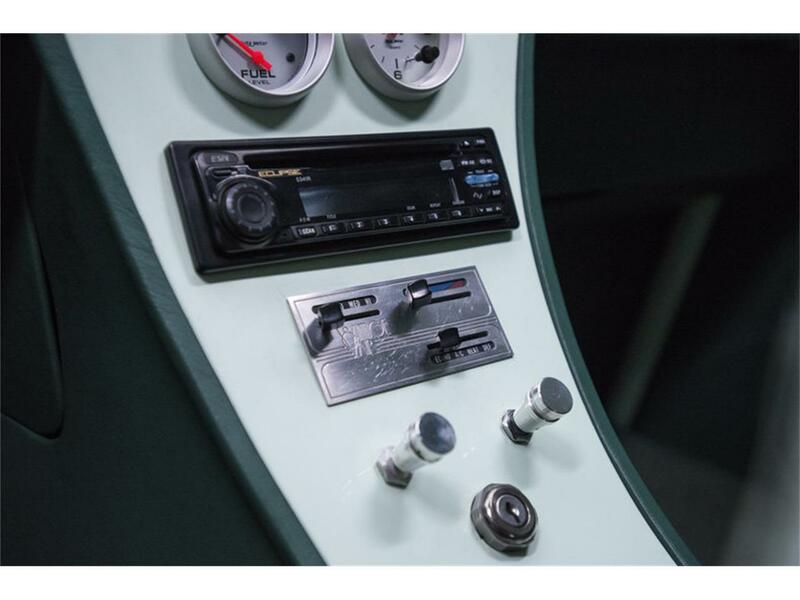 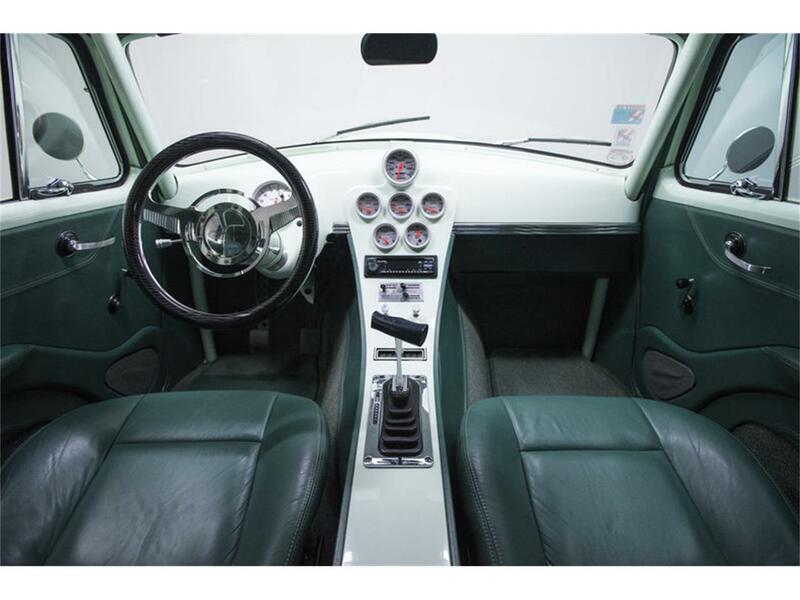 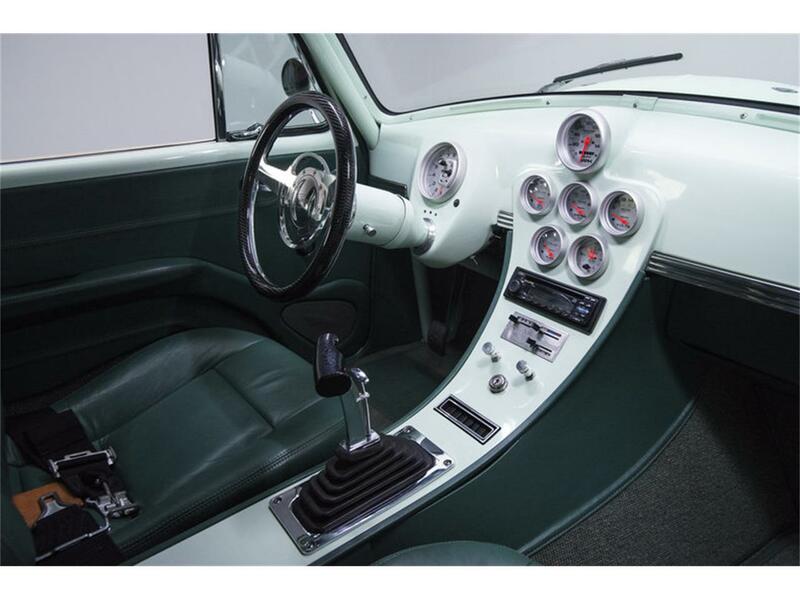 Between those seats, a custom steel console parks a B&M Mega Shifter behind Vintage Air climate control and an Eclipse CD player that, thanks to quality Ron Francis wiring, commands Precision Power amplifiers. Above that console, a custom dash features a full array of Auto Meter Pro Comp Ultra Lite telemetry. 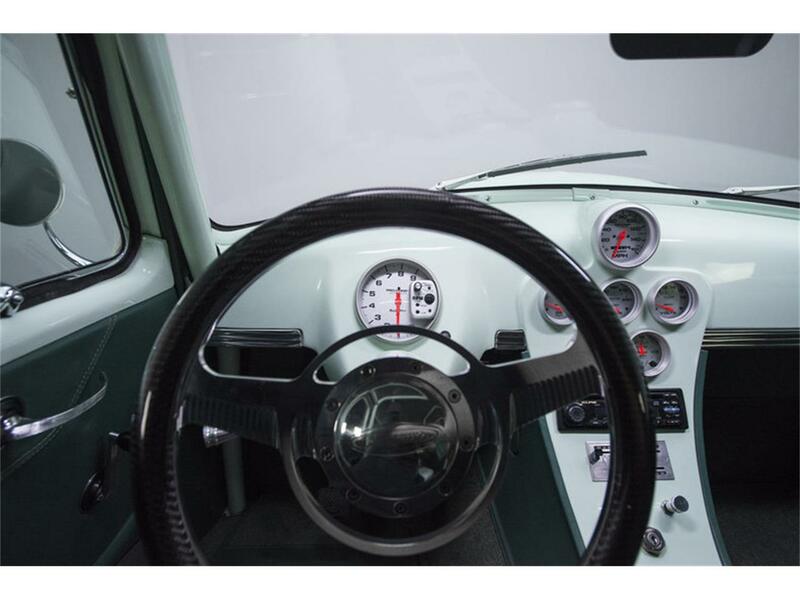 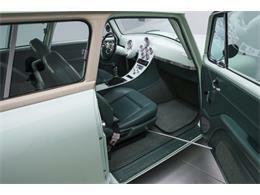 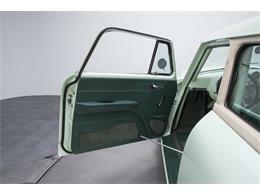 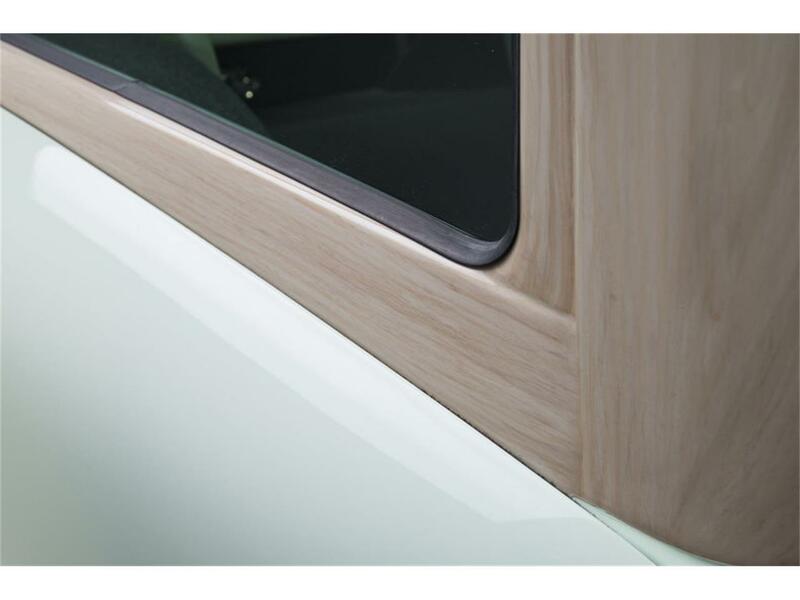 At the sides of that dash, custom door panels seat traditional handles in front of slim armrests. 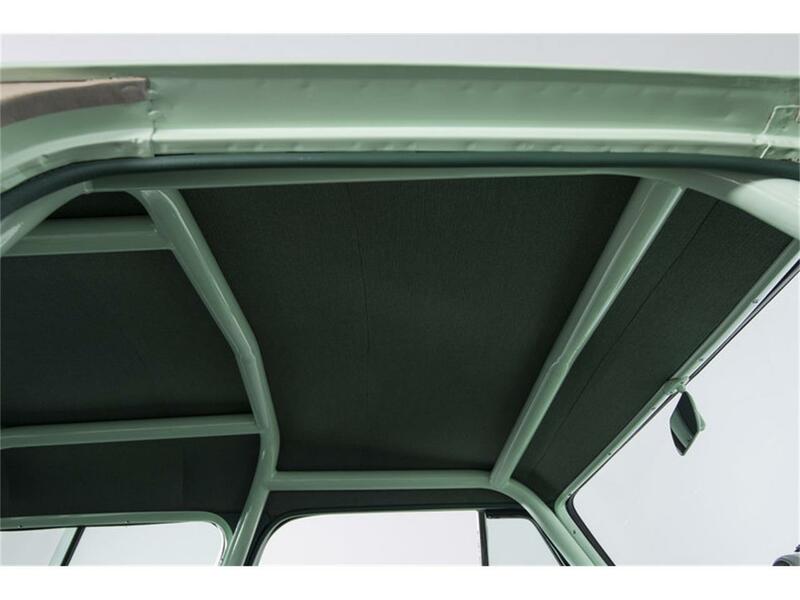 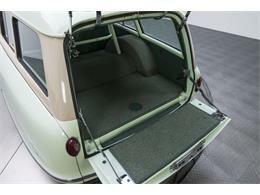 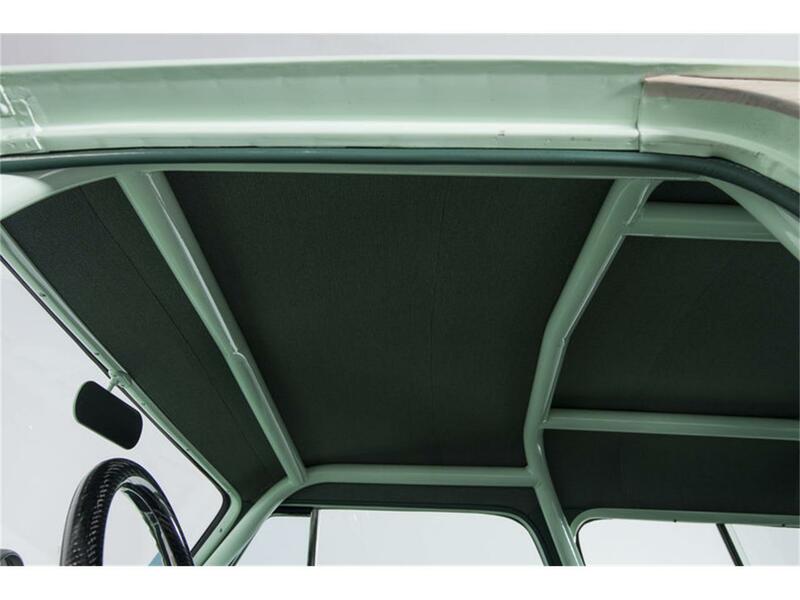 Above those panels, a custom headliner frames a custom roll cage. In front of the driver, a Budnik Saturn steering wheel spins a carbon fiber rim around a tilting Ididit column. 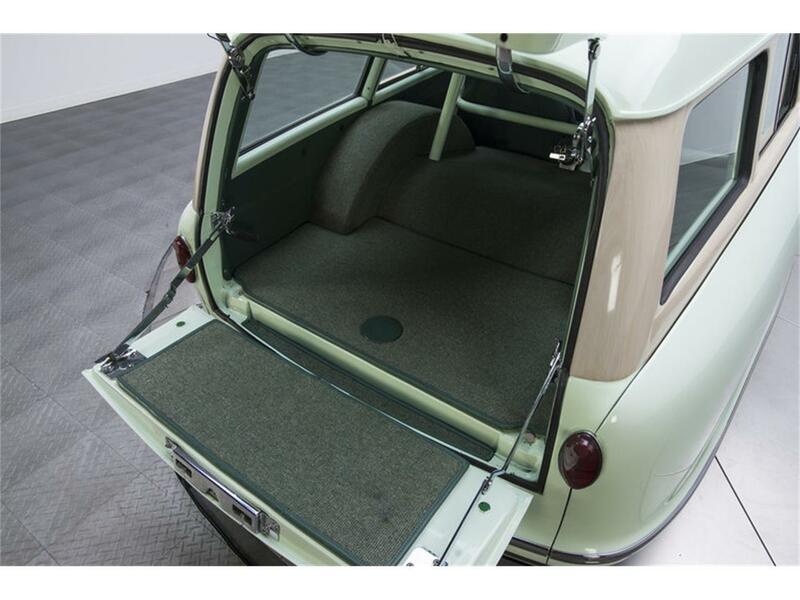 And behind the cockpit, a carpeted cargo compartment provides uninhibited access to the car's polished fuel tank. 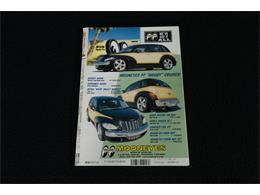 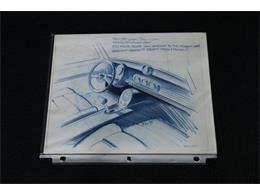 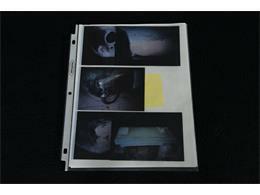 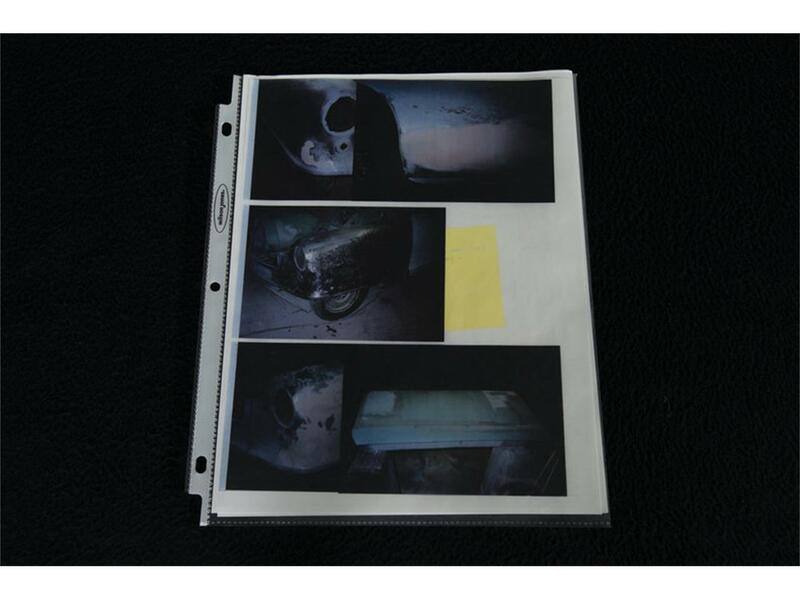 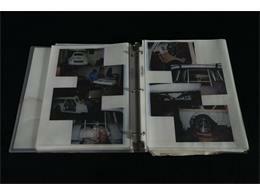 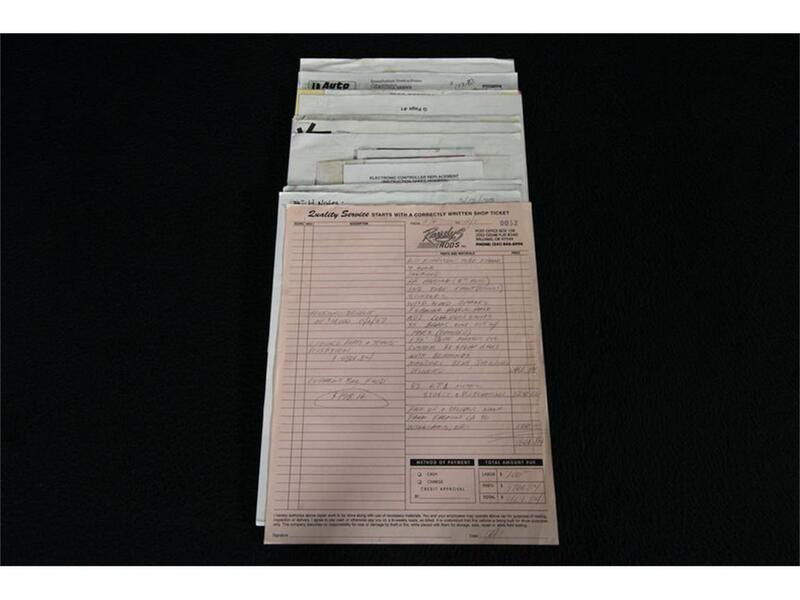 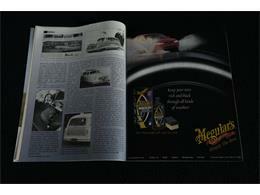 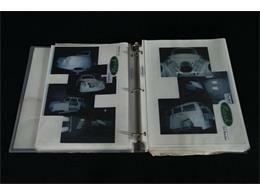 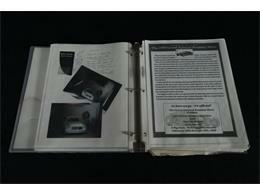 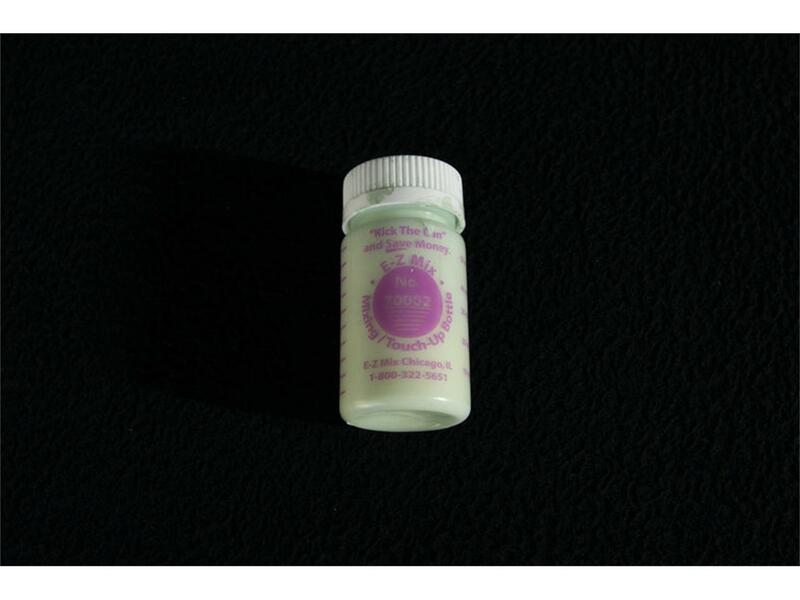 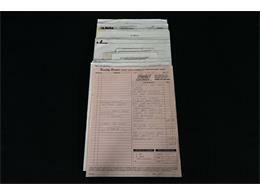 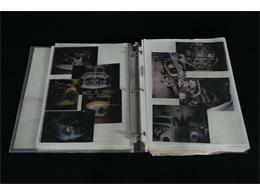 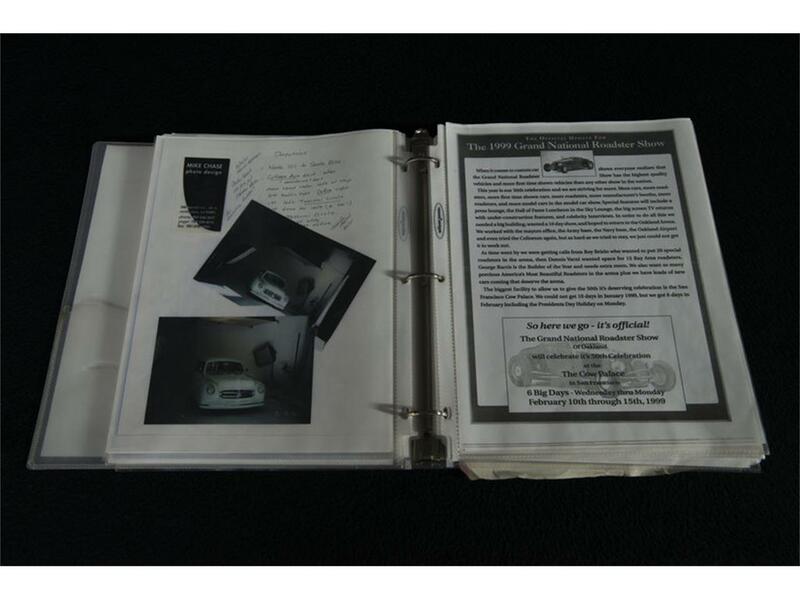 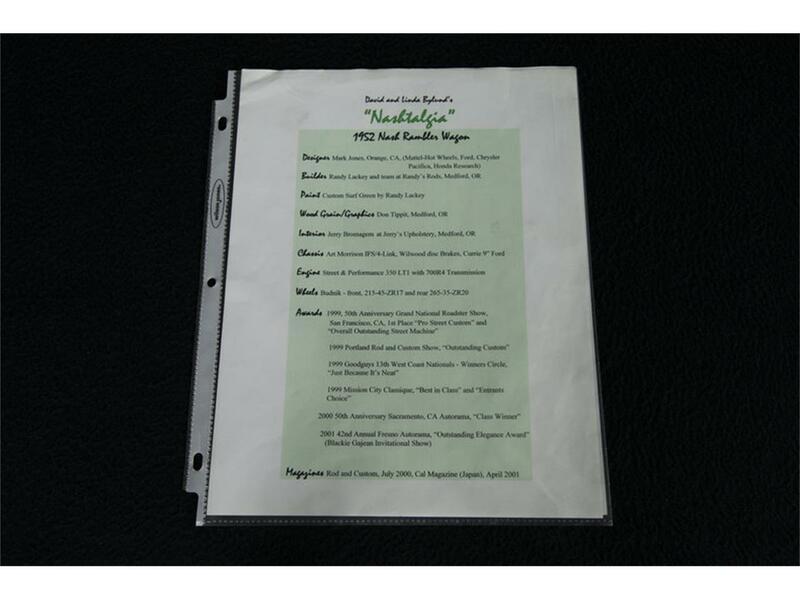 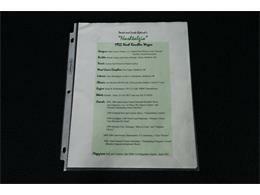 Featured in the July, 2000 edition of R...for more information please contact the seller.